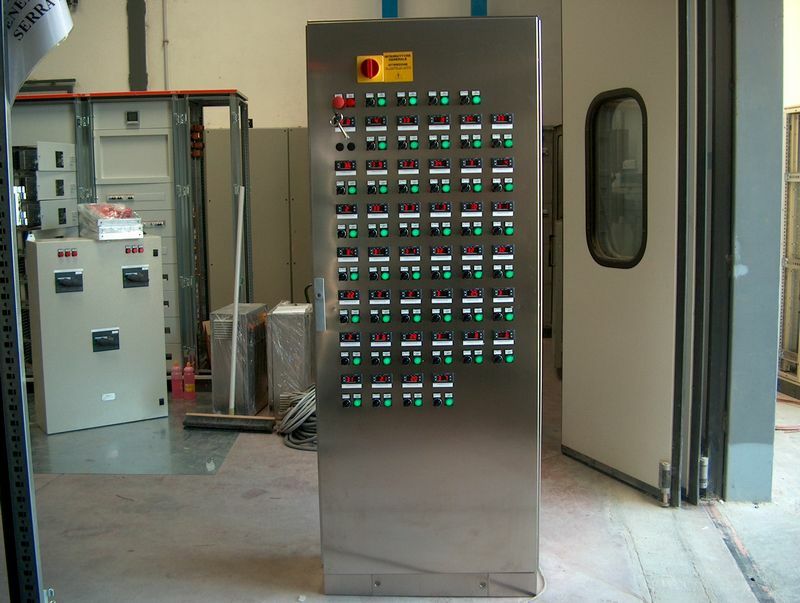 The switchboard is ever-present in the most advanced industrial contexts. 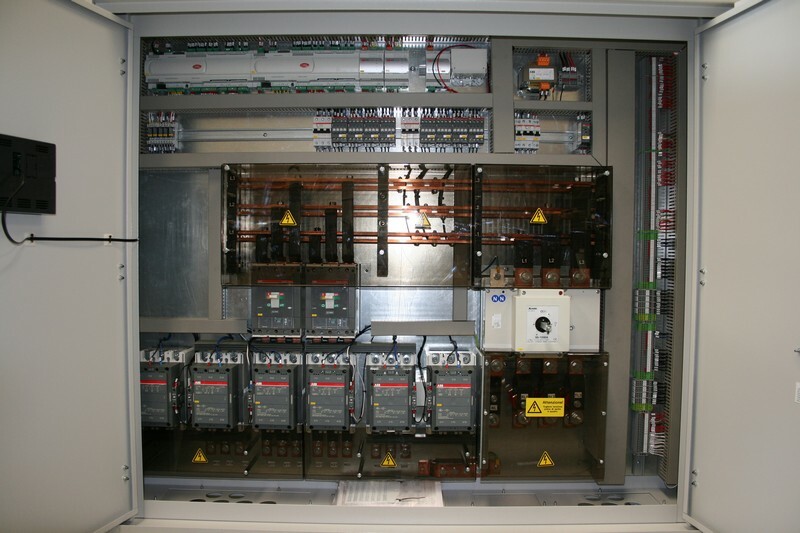 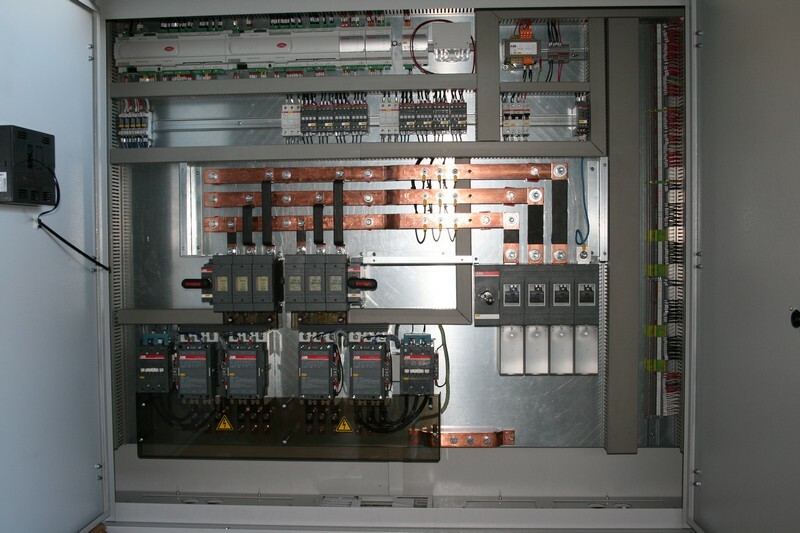 Our knowledge of the most common PLC systems on the market has allowed for the integration and implementation of control systems and industrial process control with a very wide range of applications. 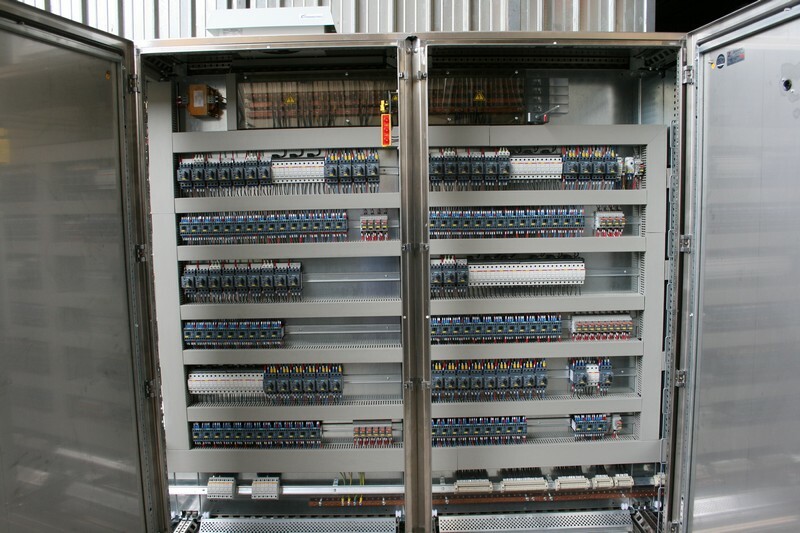 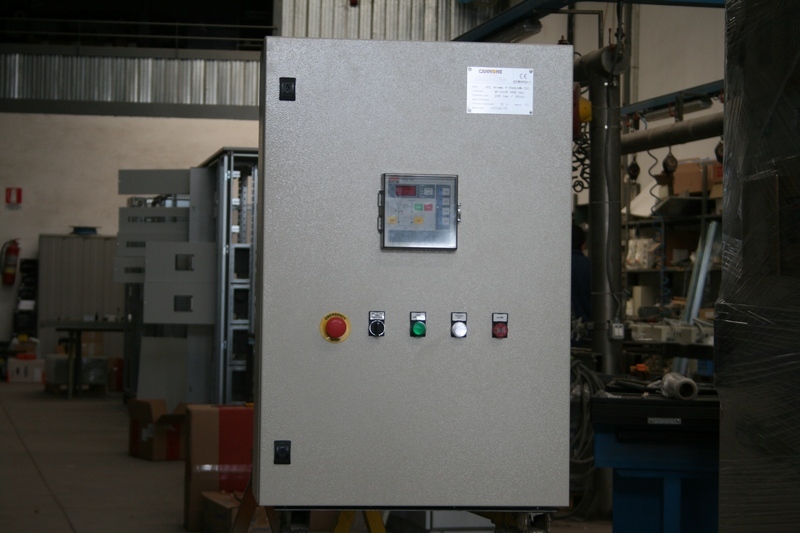 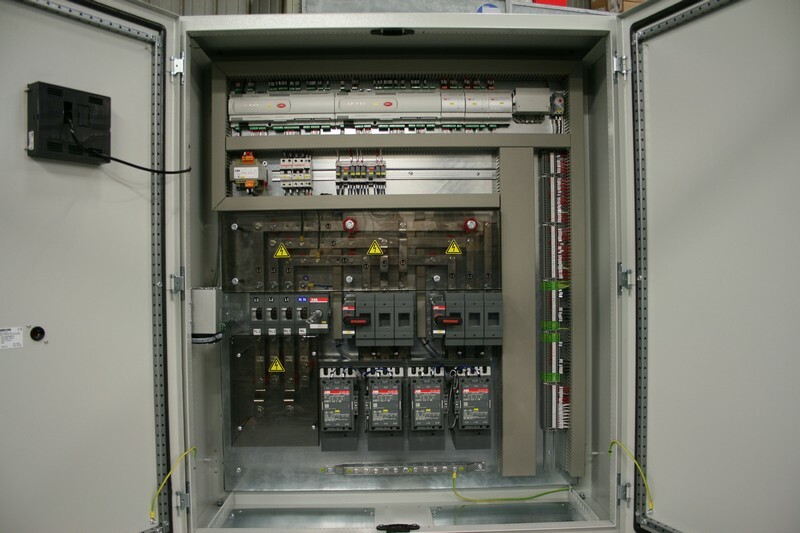 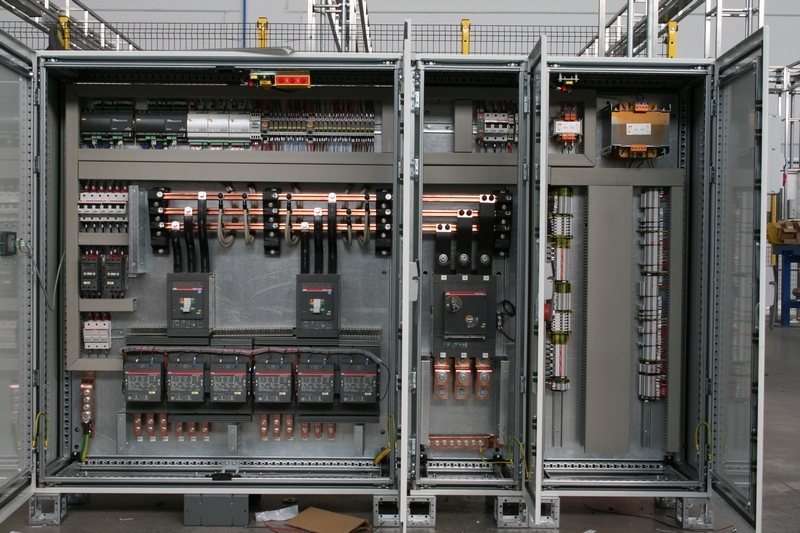 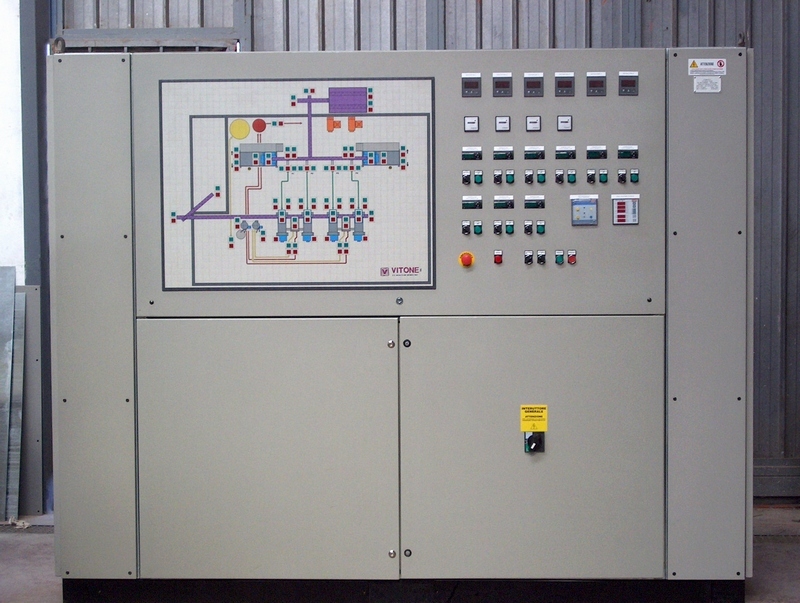 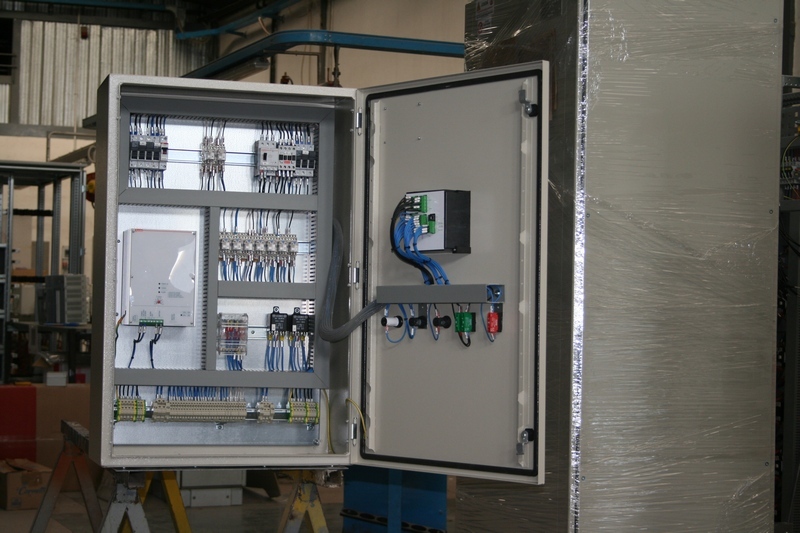 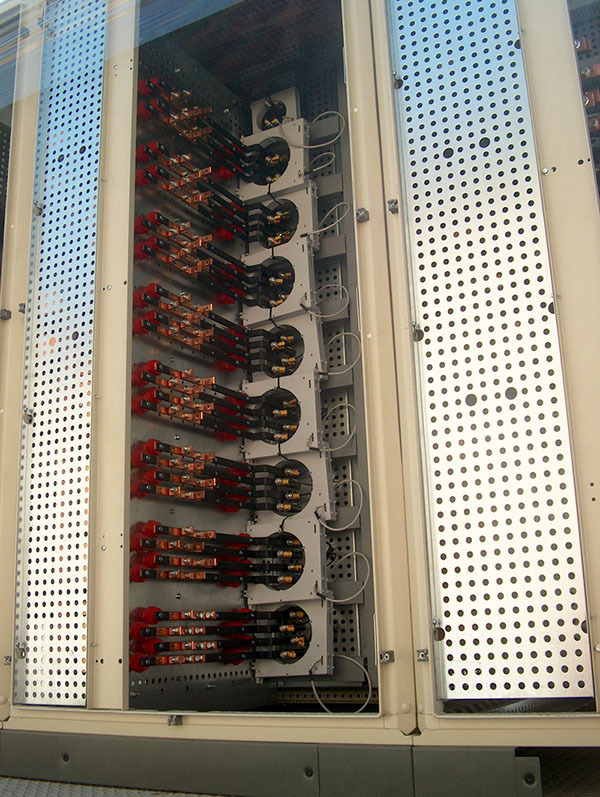 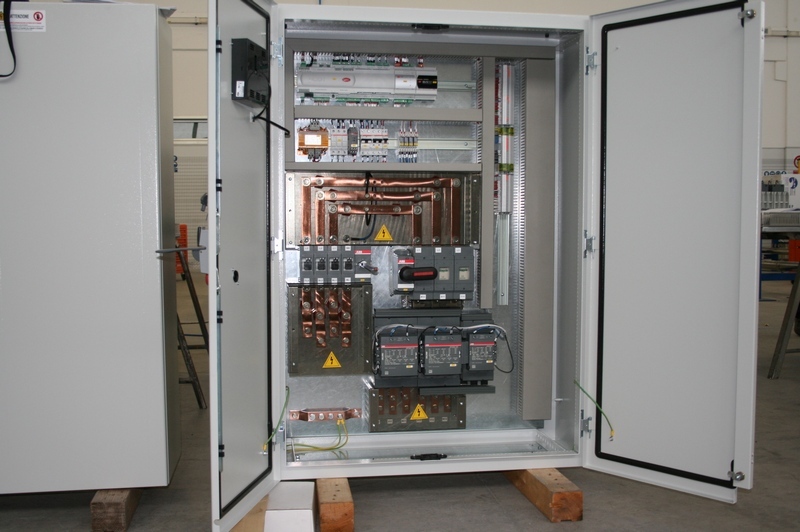 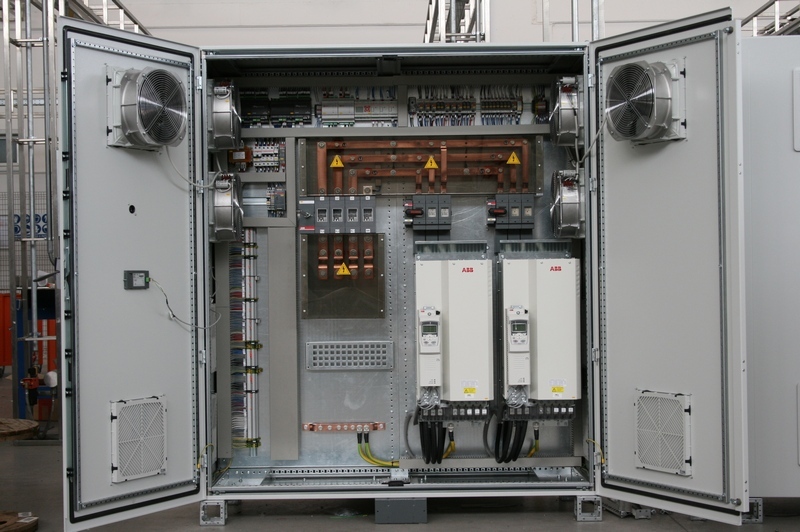 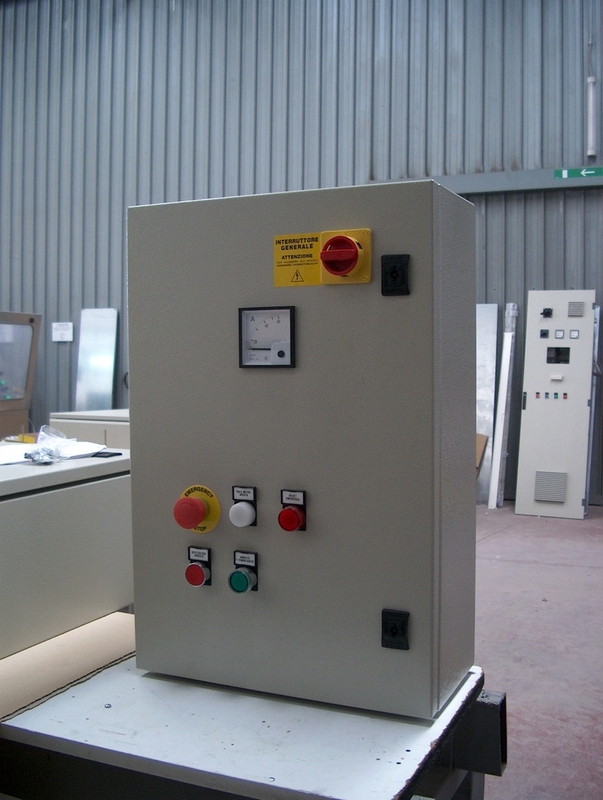 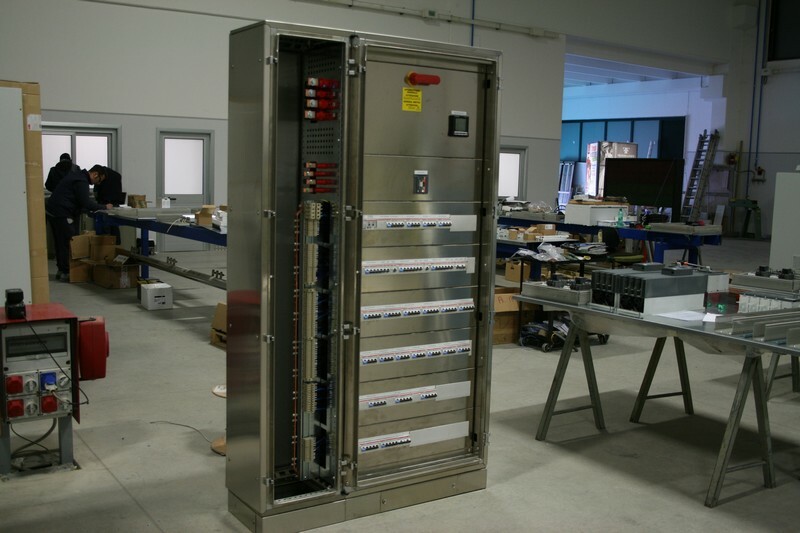 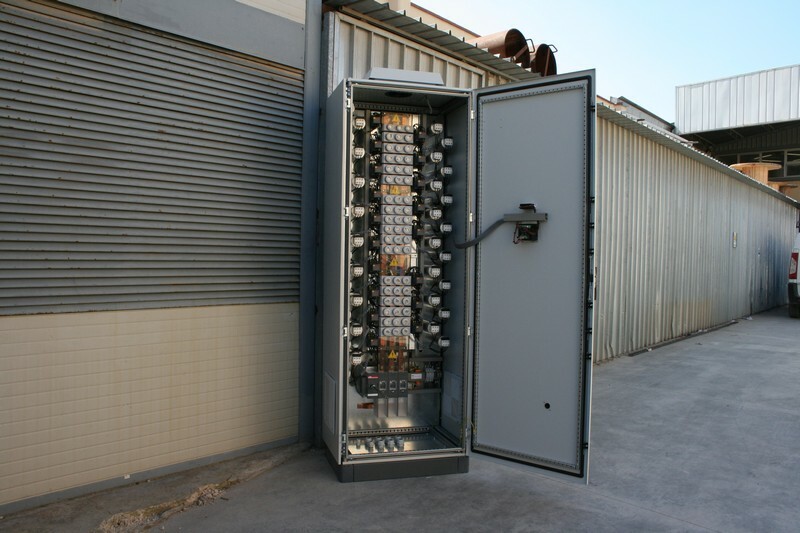 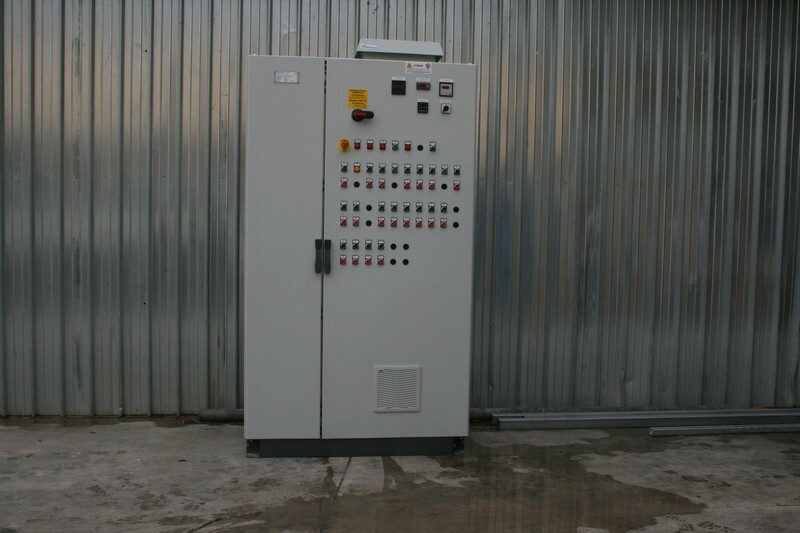 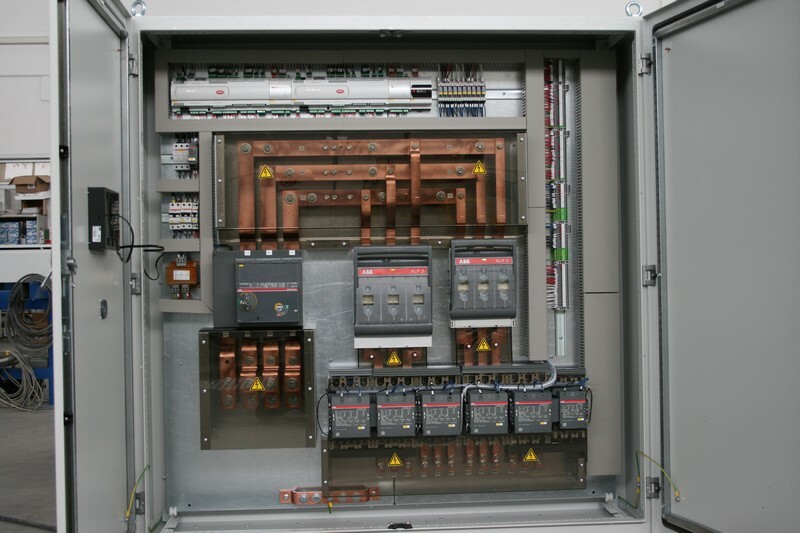 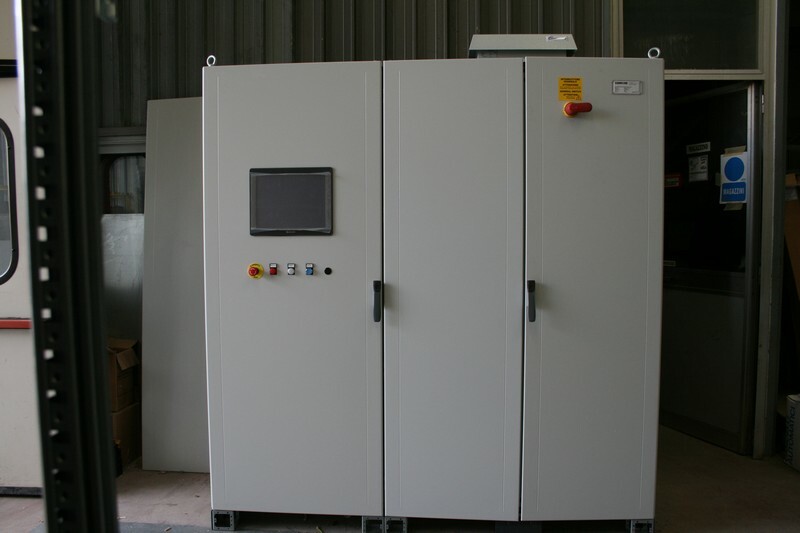 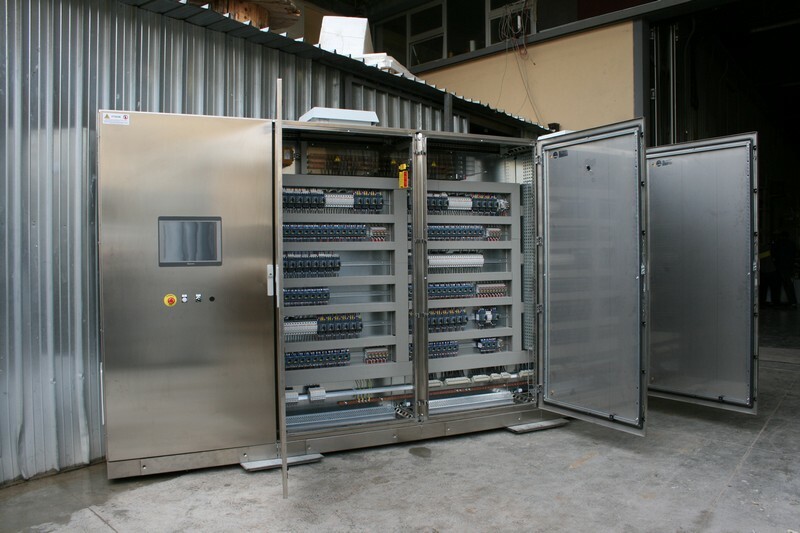 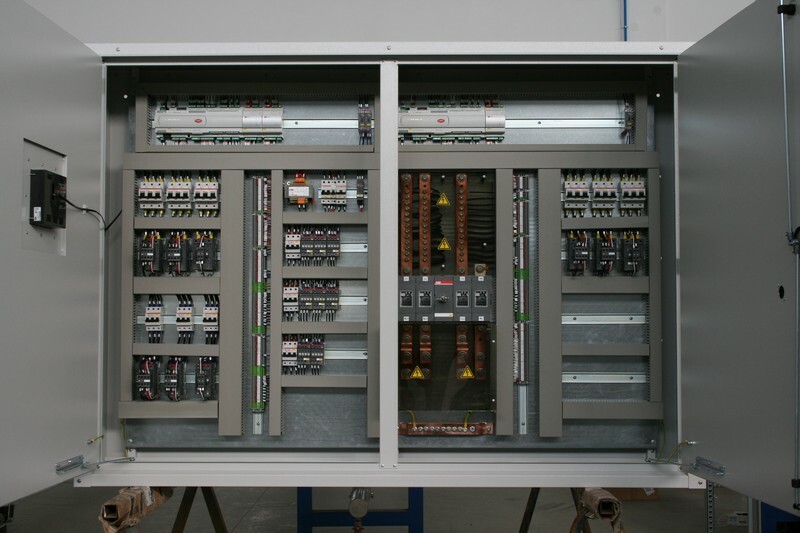 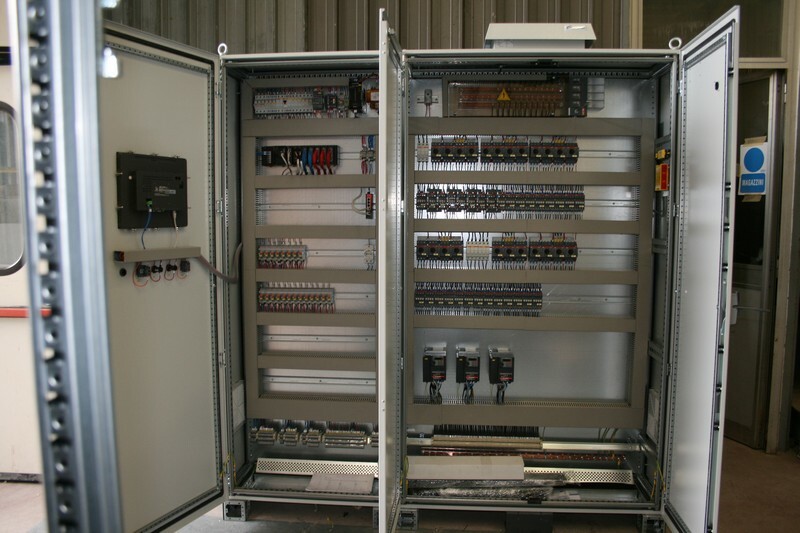 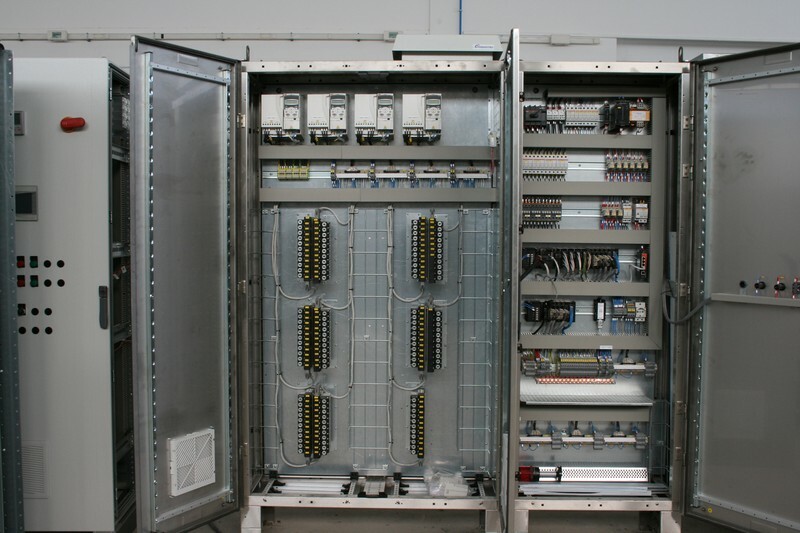 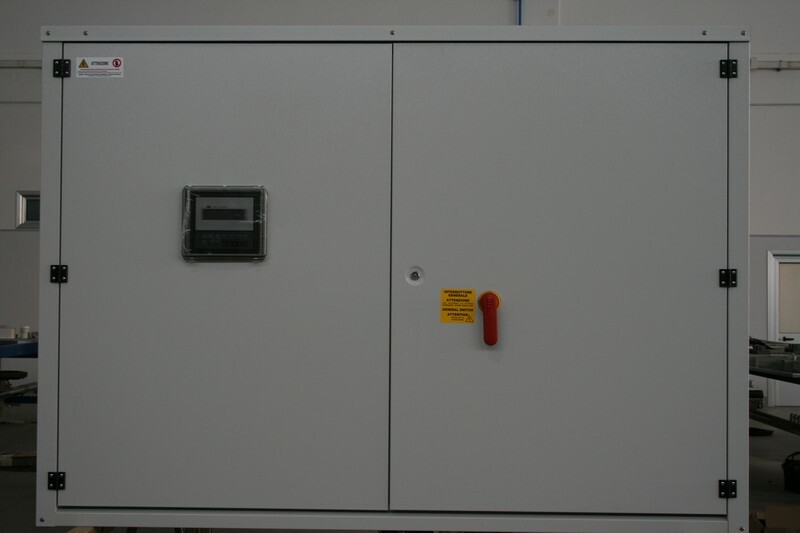 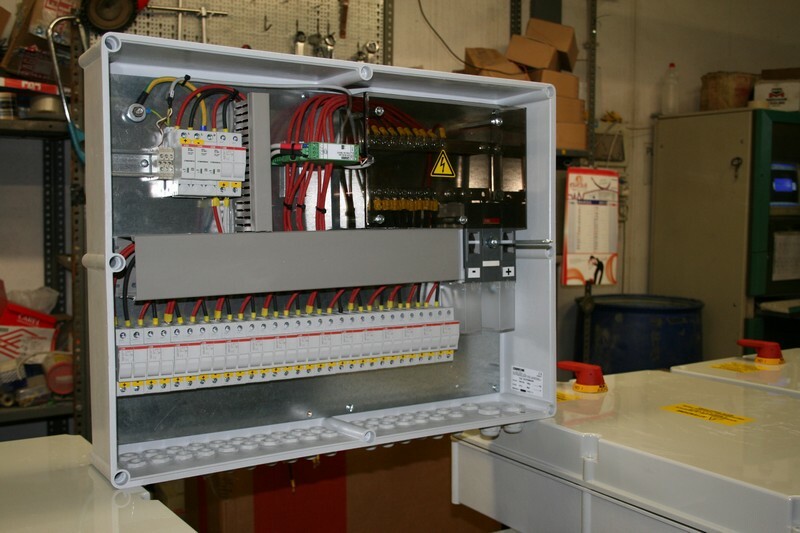 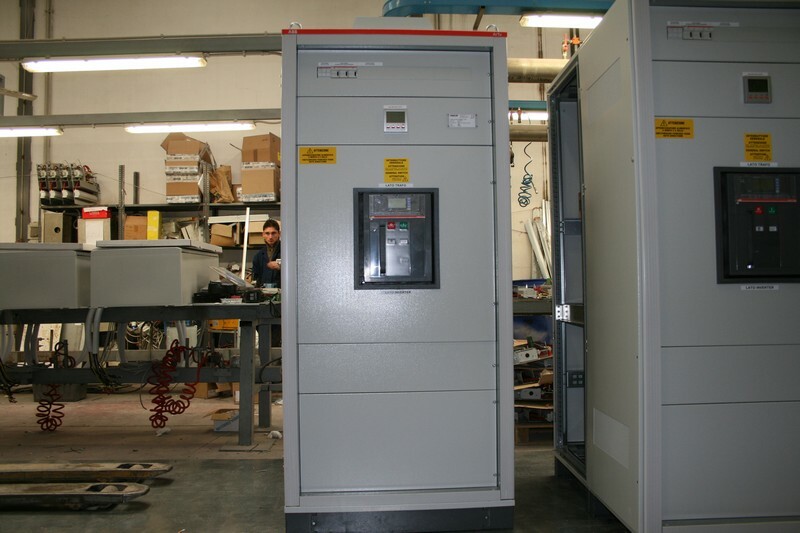 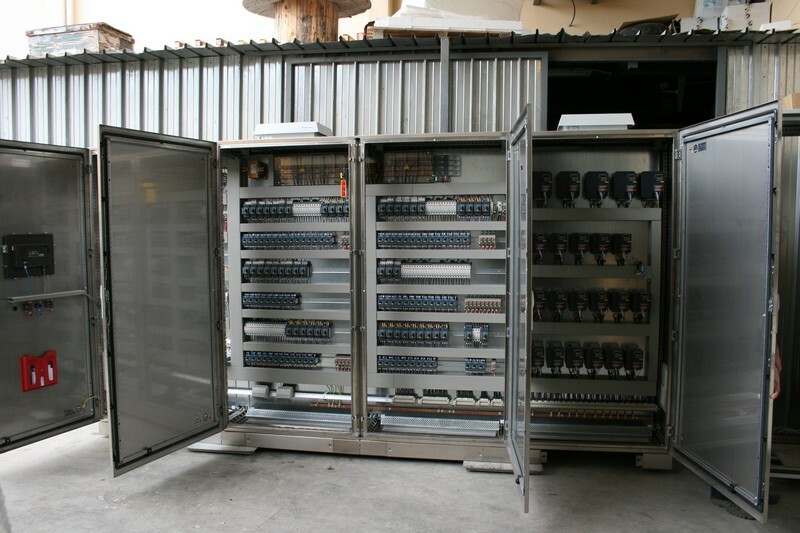 We design and manufacture switchboards for use in purification plants, for command and control of sludge de-watering processes, lifting sludge and water treatment. 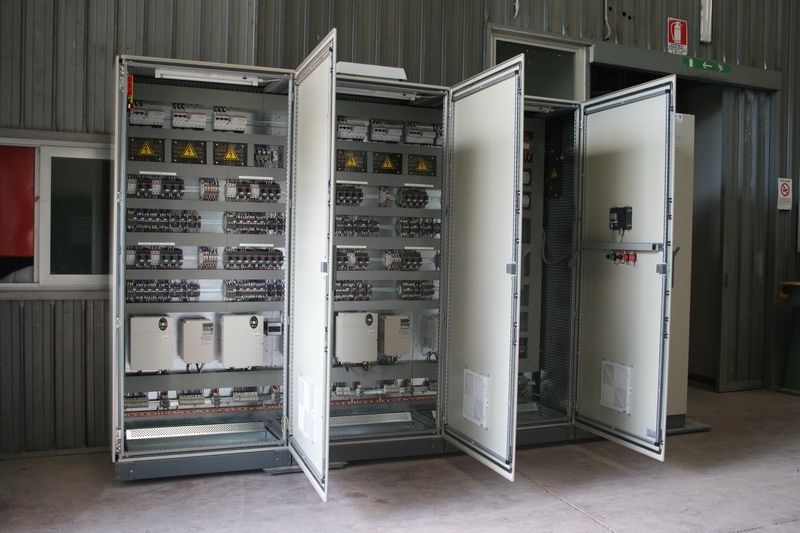 Thanks to our switchboards the plants can be equipped with remote-control tech via PLC systems, HMI-touchscreen and industrial PC’s that can coordinate, control and diagnose work processes remotely. 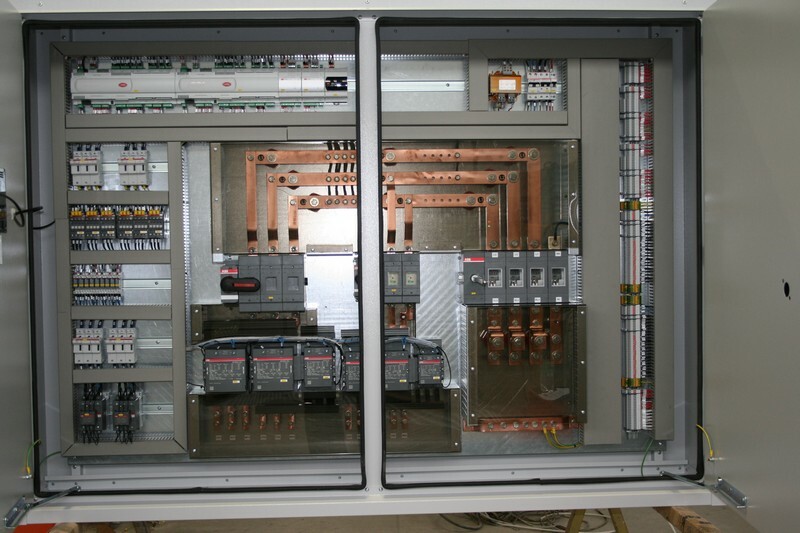 We design and manufacture control panels for airconditioning machines of small, medium and big power, in chiller and heat pumps, multifunction and multipurpose versions using dedicated programmable logic and custom parameters. 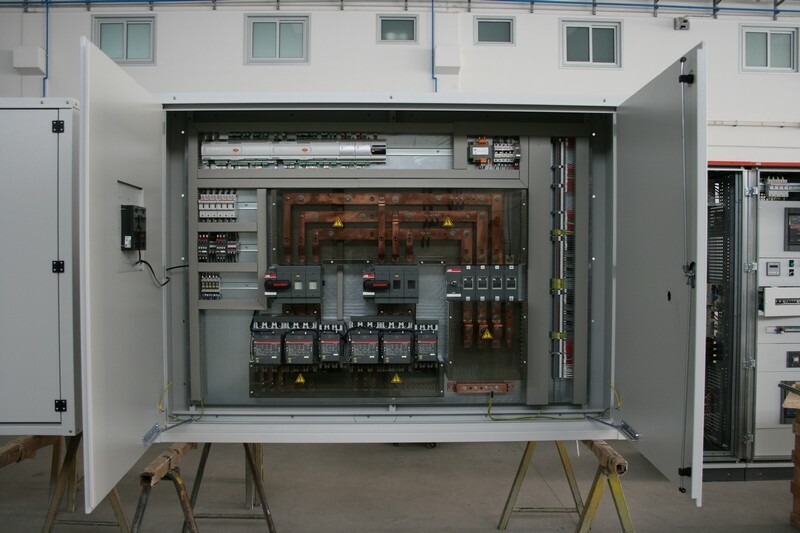 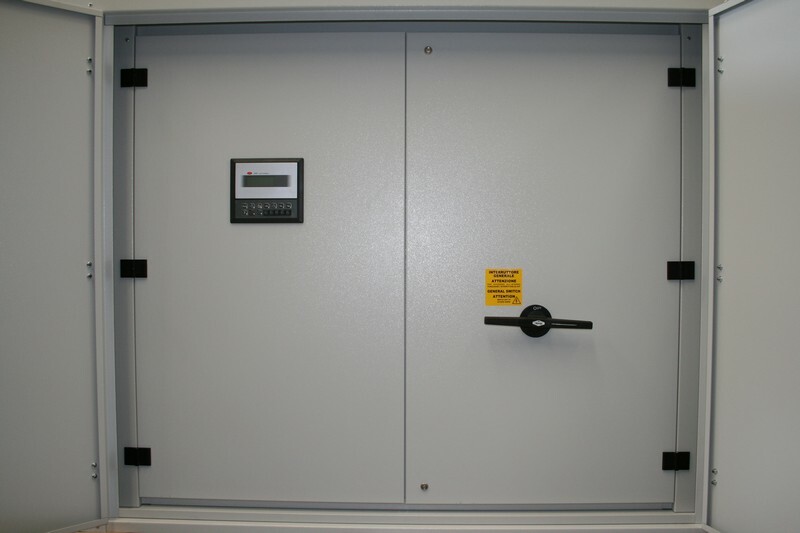 Our panels can be either stand-alone or incorporated in structural workshops provided by the client to make the integrated installation in control rooms possible. 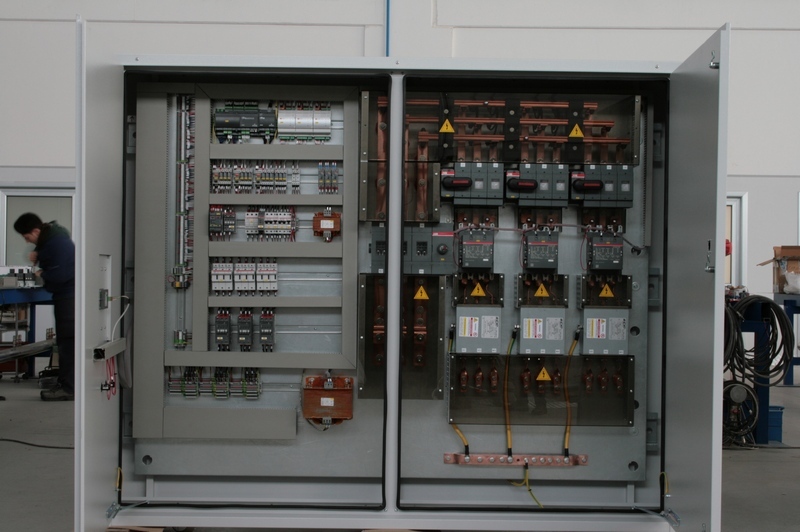 The design of electrical panels may either be designed by our engineering department or in response to project and client directives. 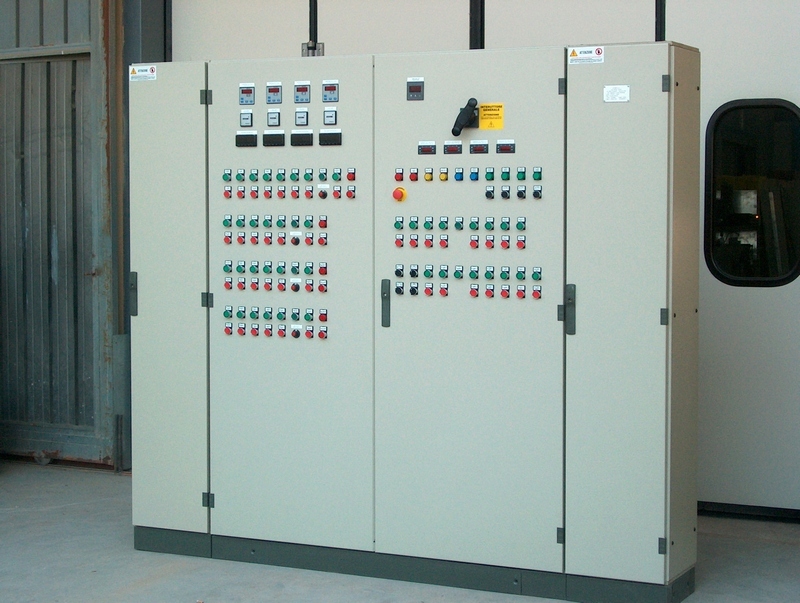 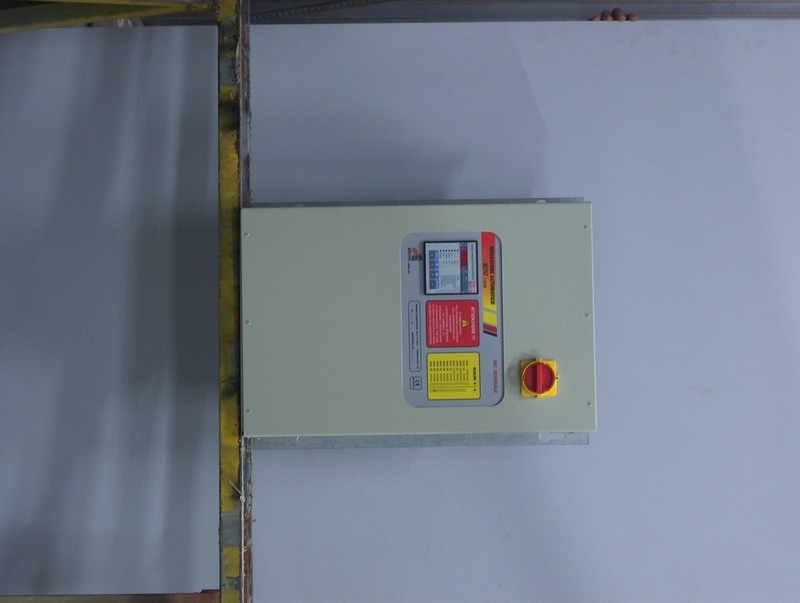 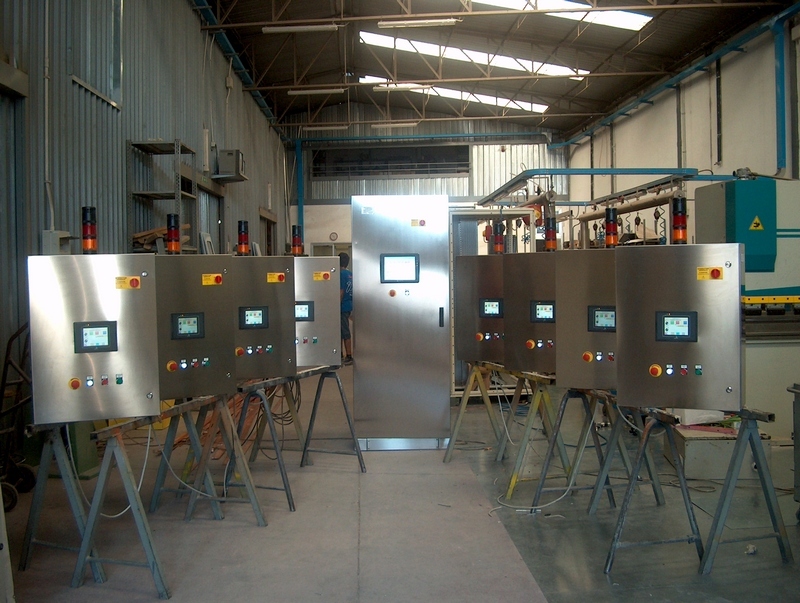 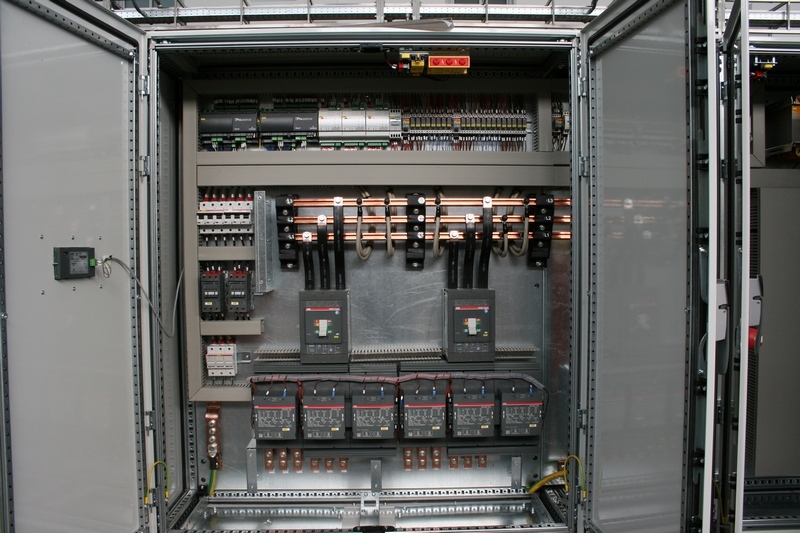 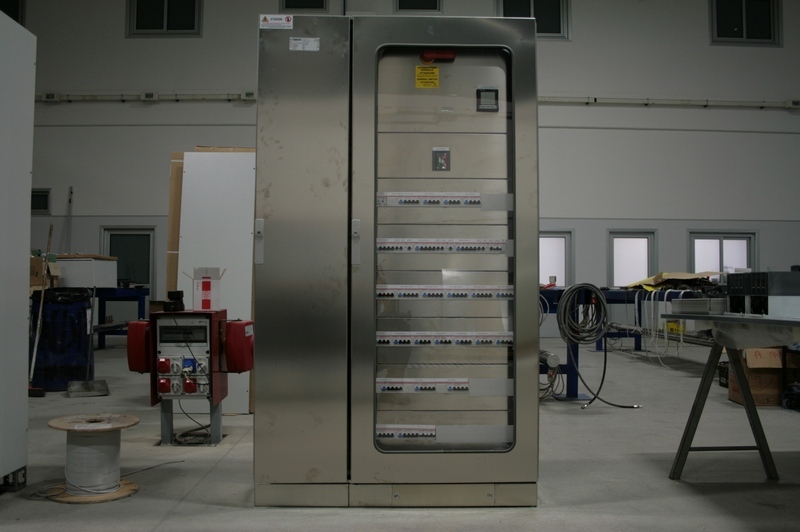 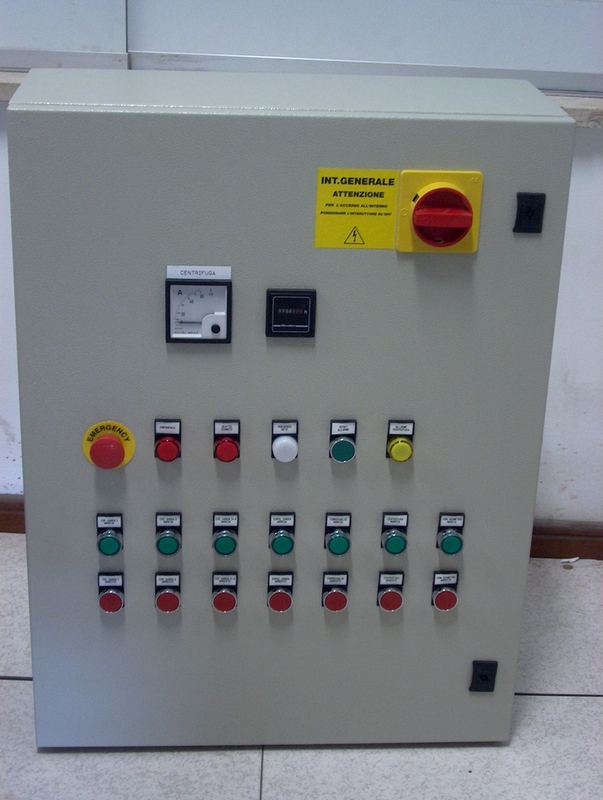 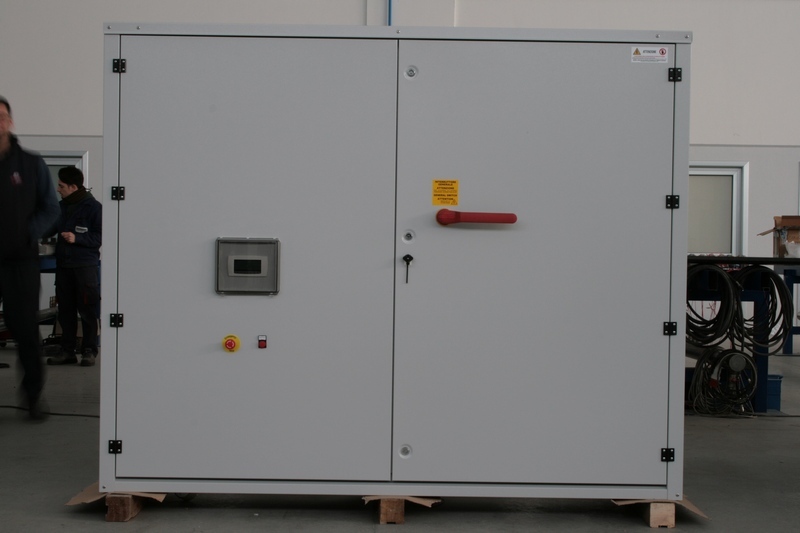 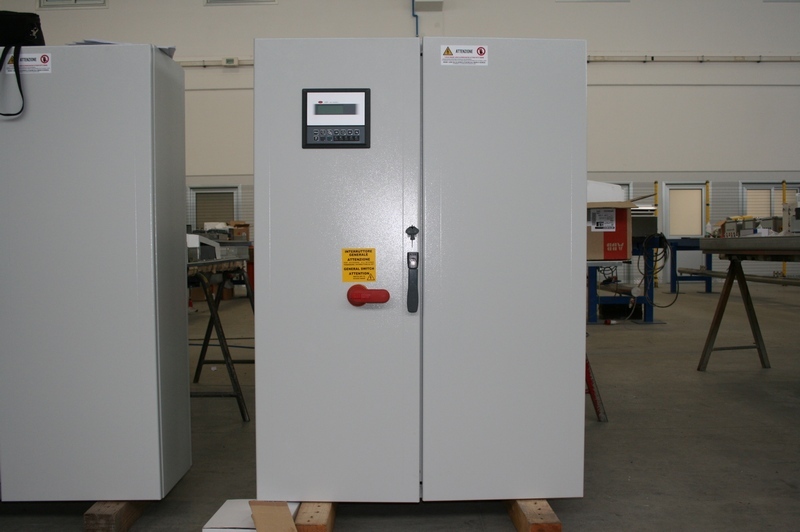 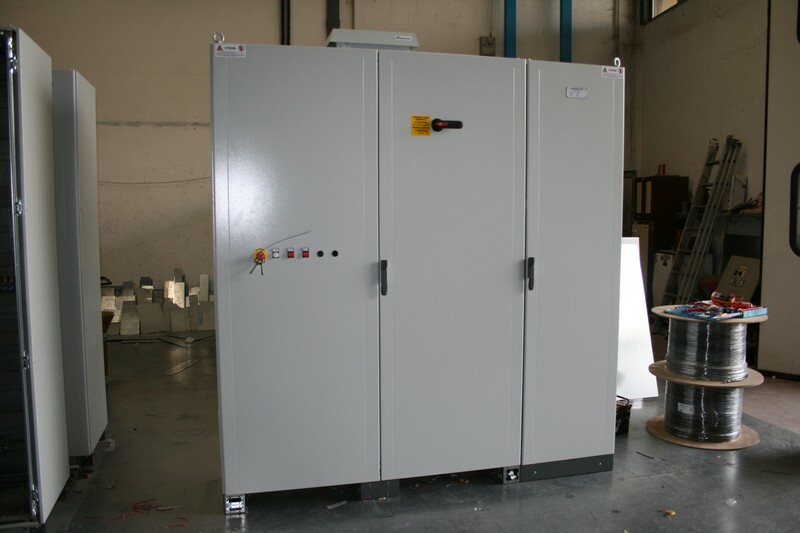 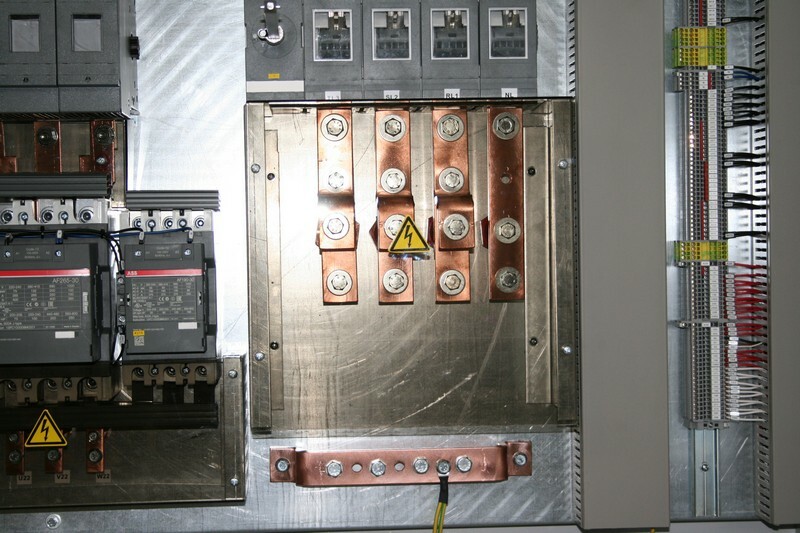 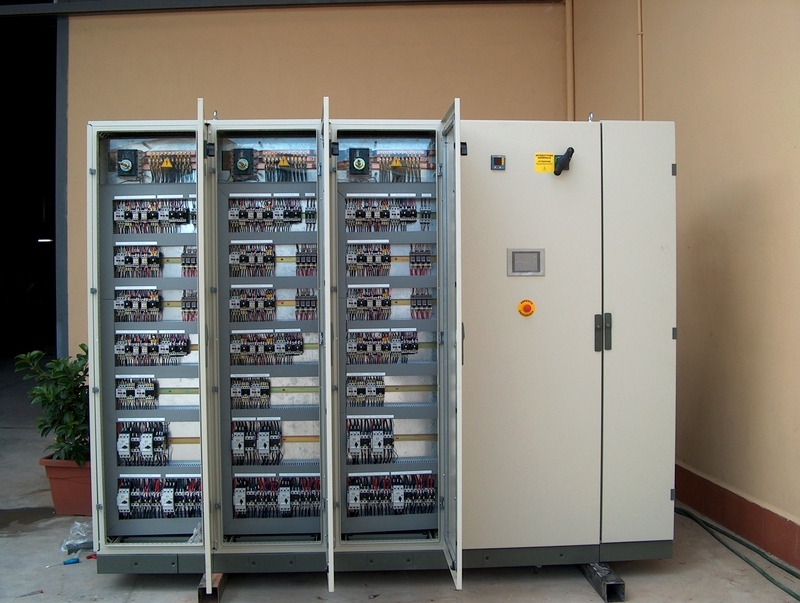 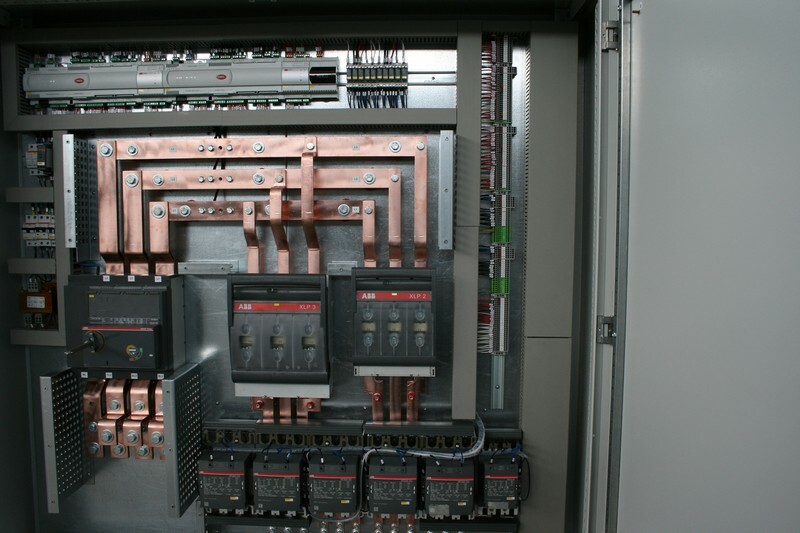 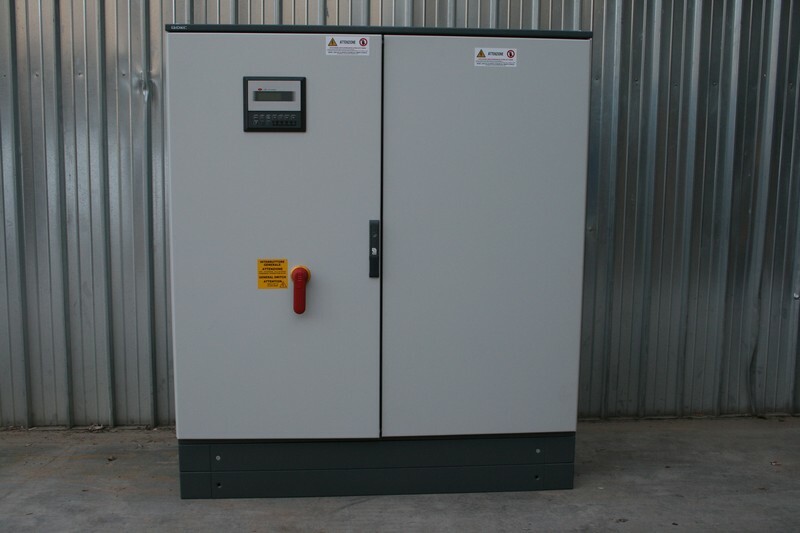 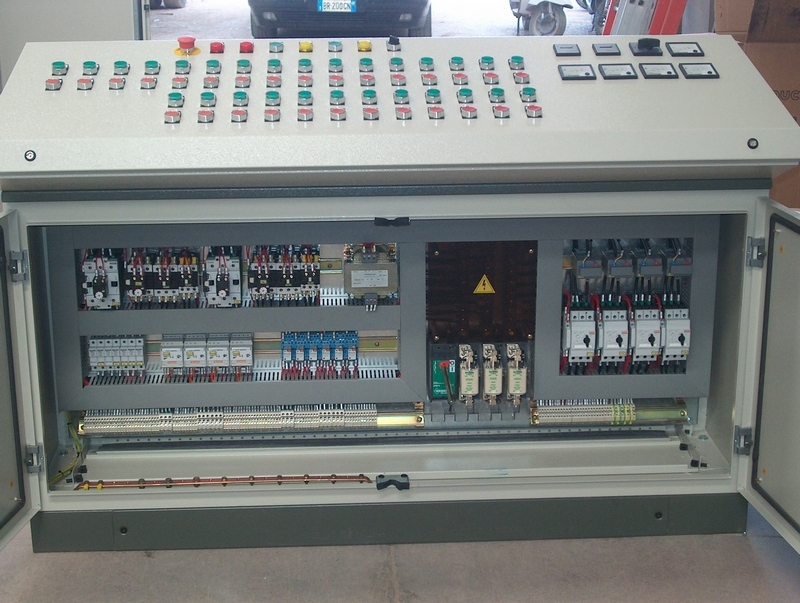 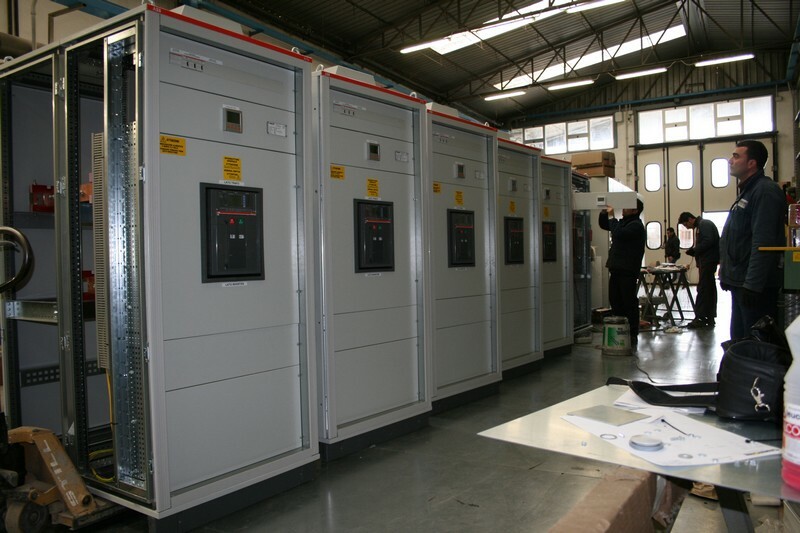 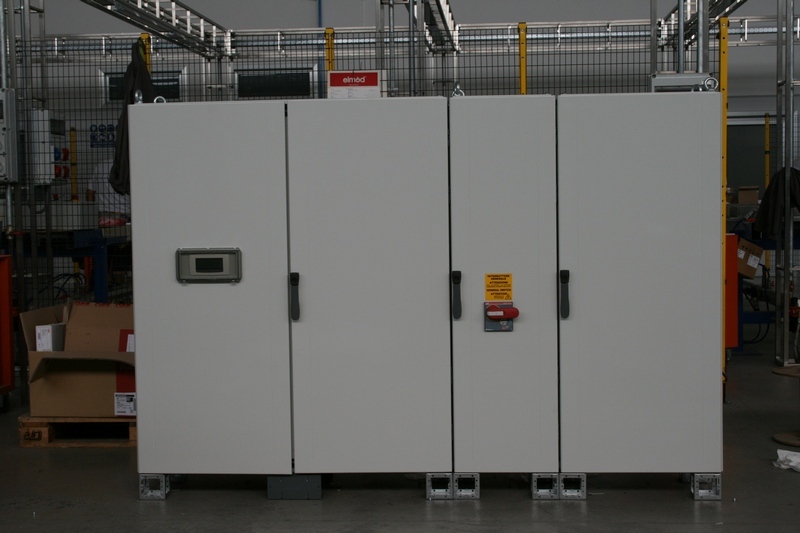 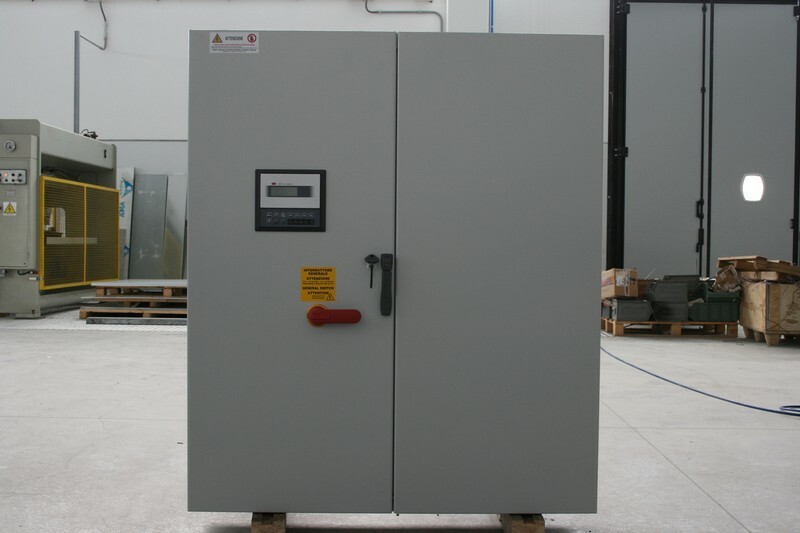 We produce electrical panels for thermal power plants based on the combustion of gas, diesel, oils, etc. 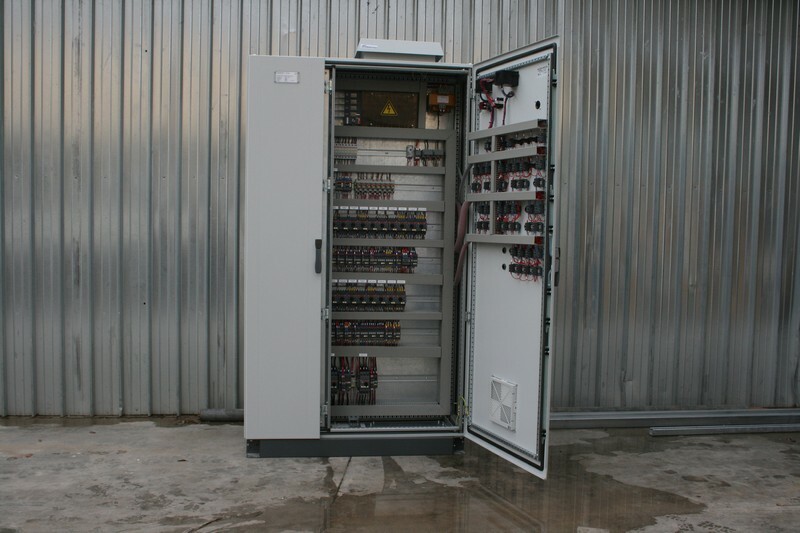 According to customer needs, the controls for the various users may be used by means of inverter drives, soft and/or HD and/or DOL starters. 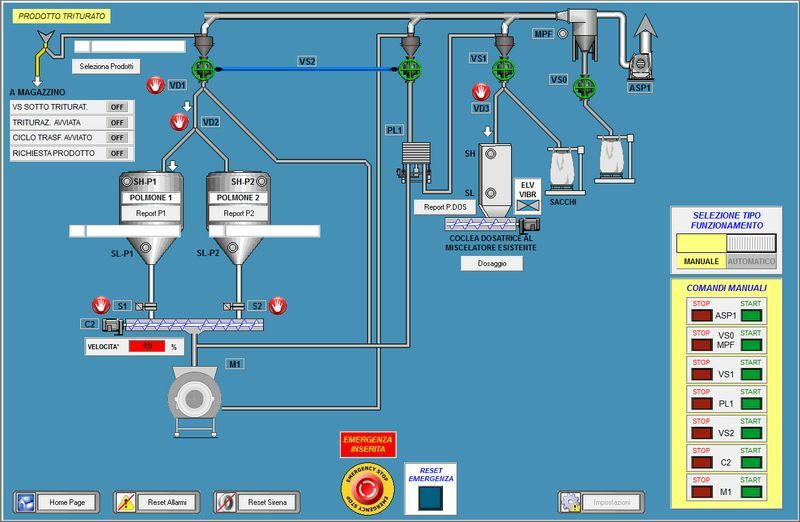 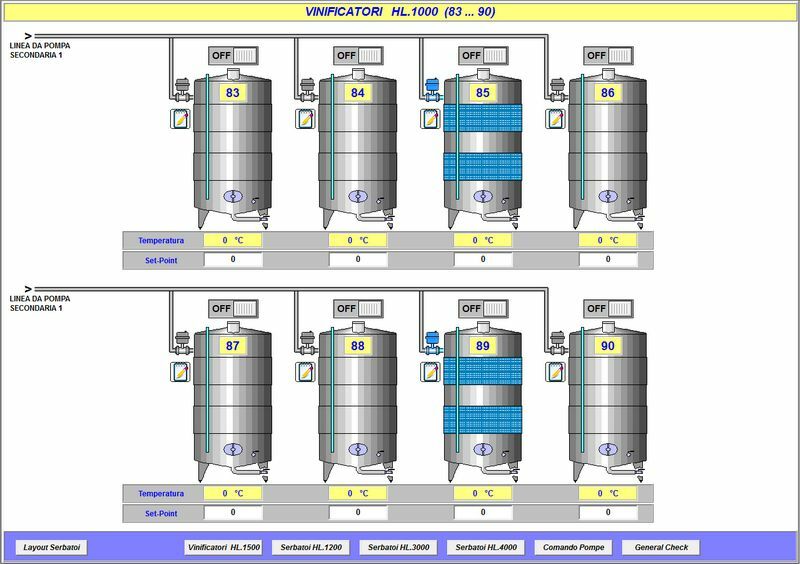 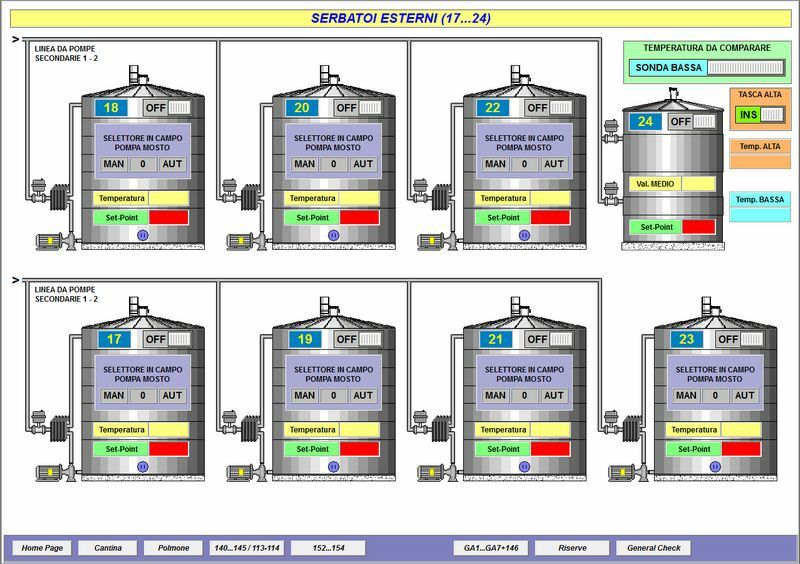 Top reliability and safety thresholds for the functions are guaranteed by automating the entire process run by a PLC-operated system via HMI graphic touch-screen terminals. 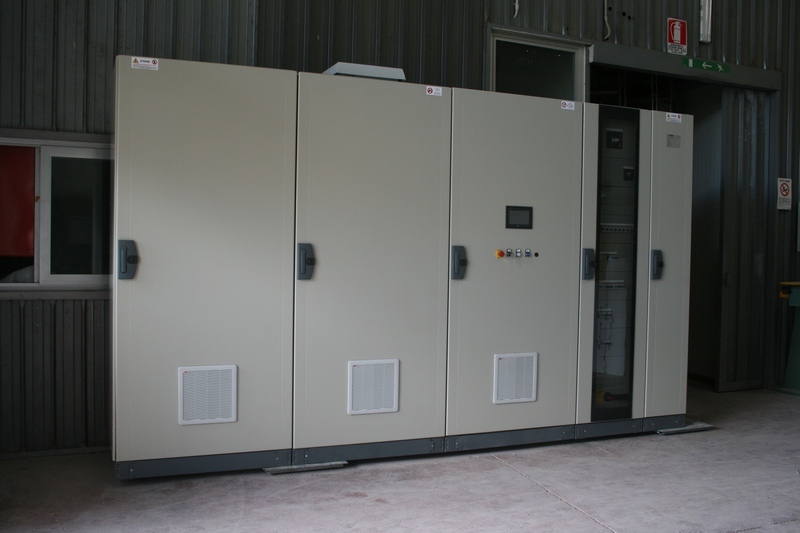 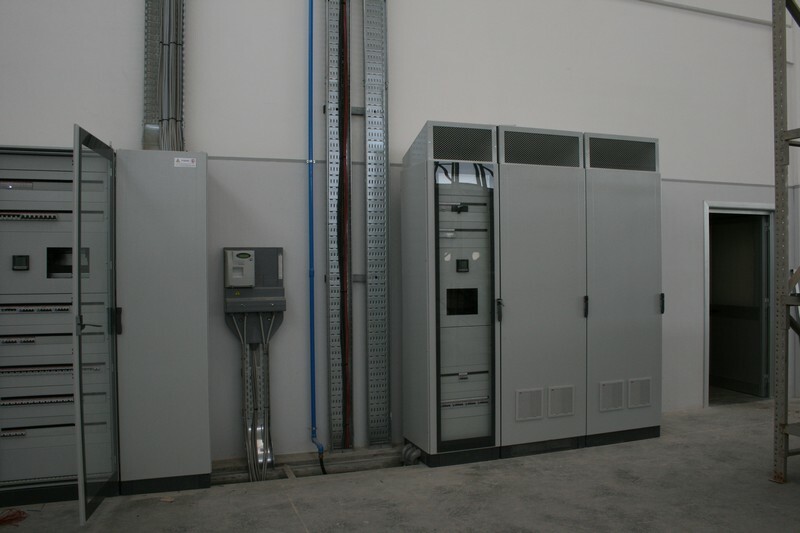 We realize the power-factor correction of electrical panels and equipment systems to correct the power factor of power transformers, boasting painted steel-sheet structures to ensure an adequate ventilation flow. 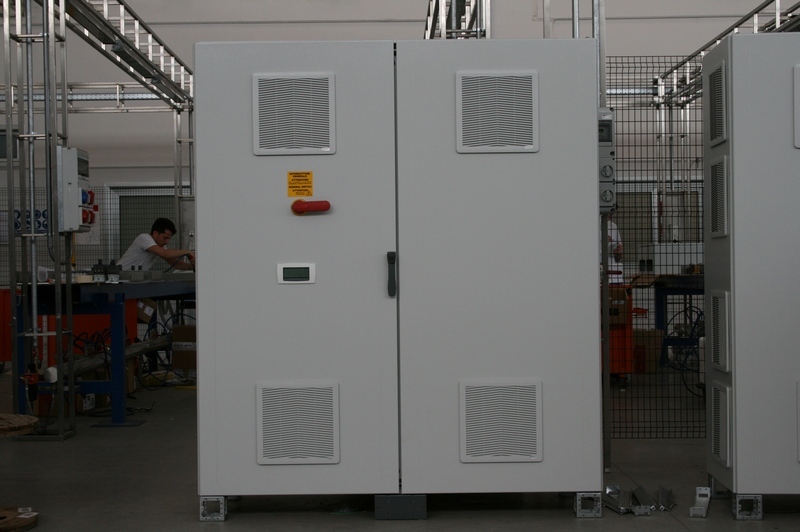 The MICRO, MINI, MIDI and MAXI series of elmod’s electric automatic panels for powerfactor correction of inductive loads are widelyproven solutions for facilities of all sizes. 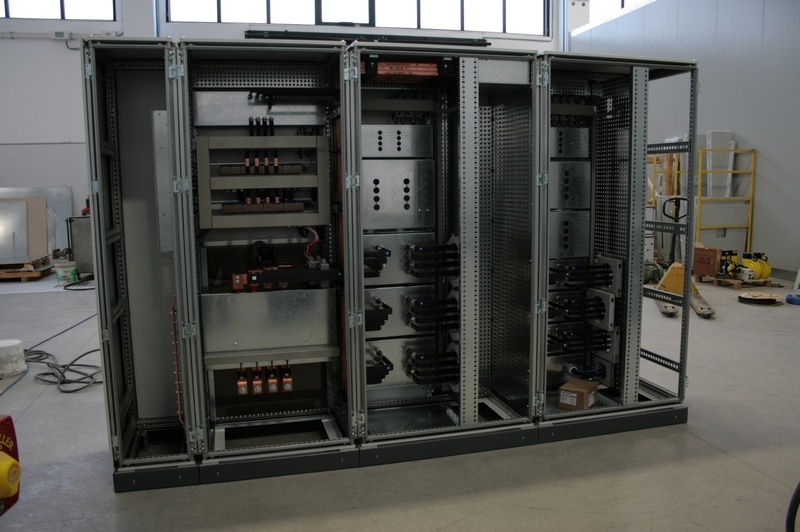 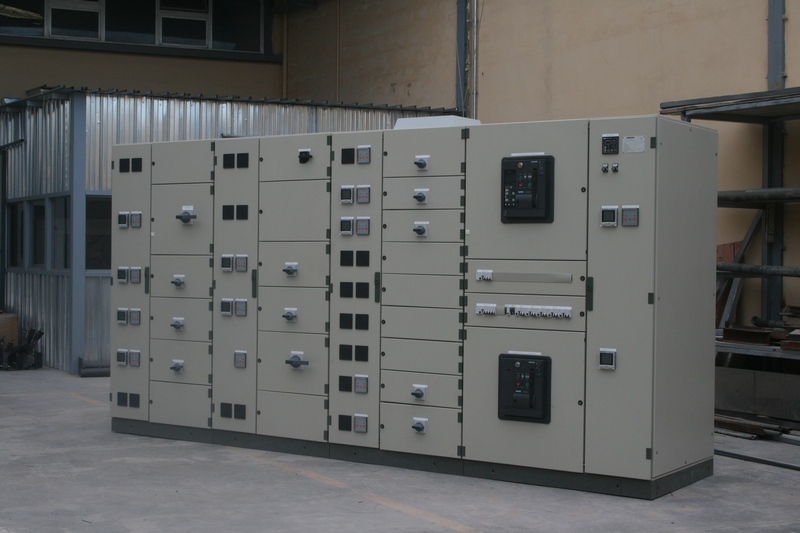 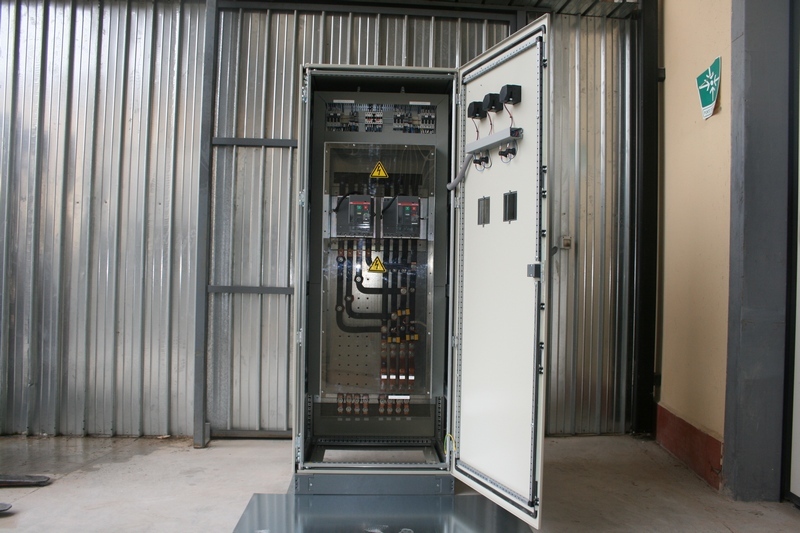 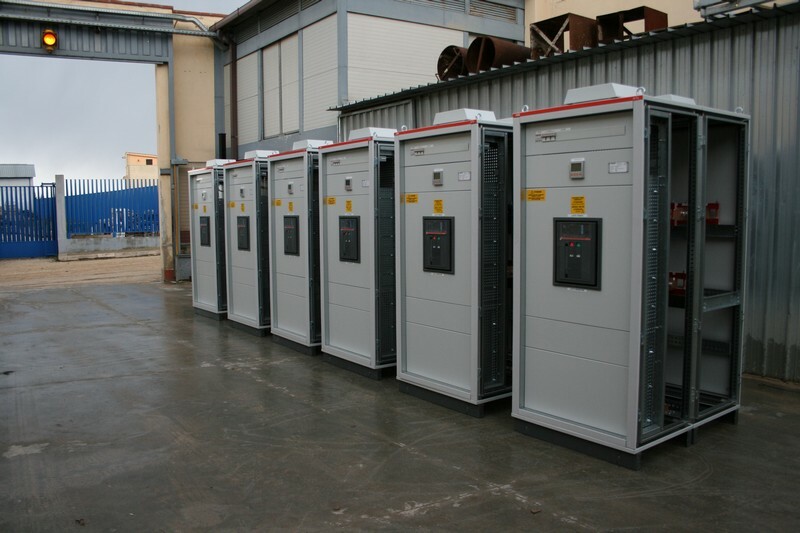 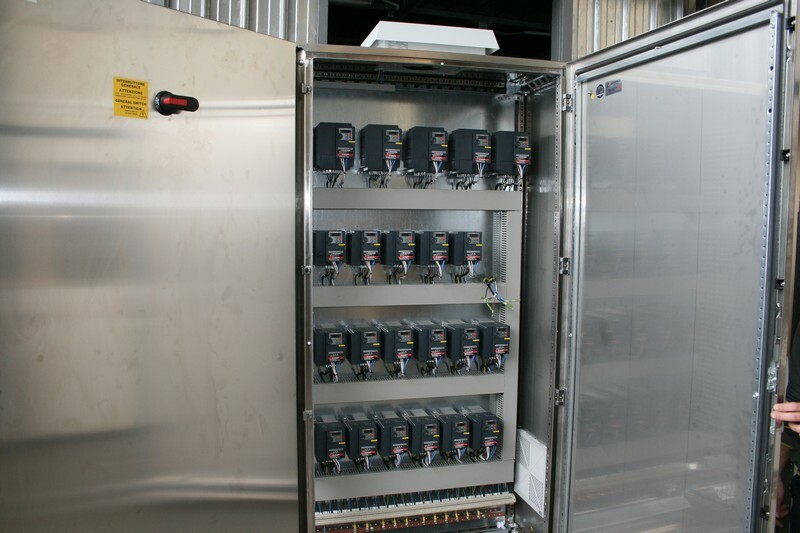 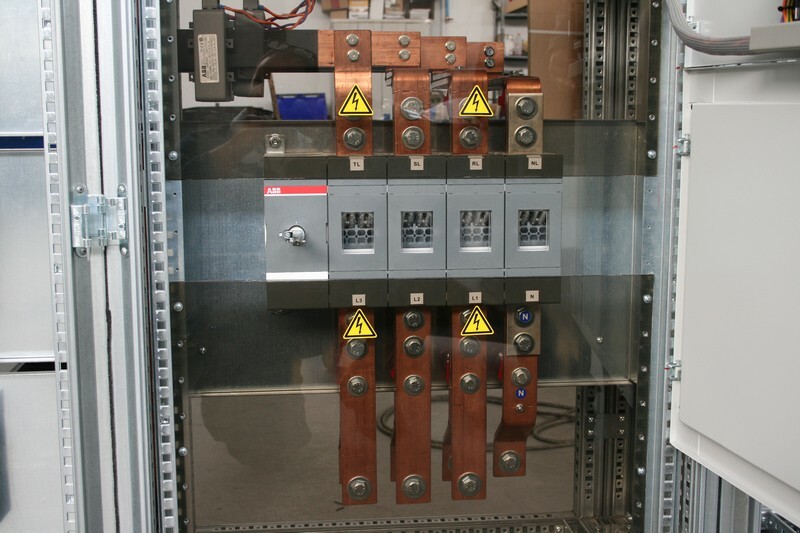 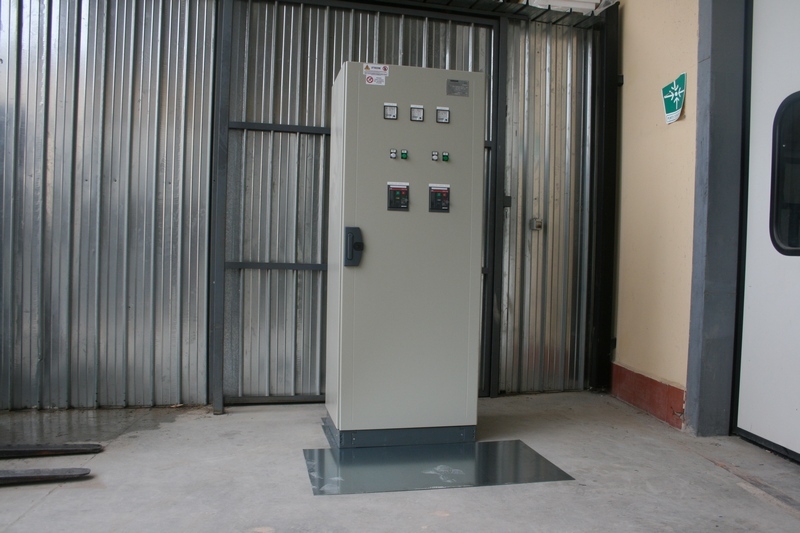 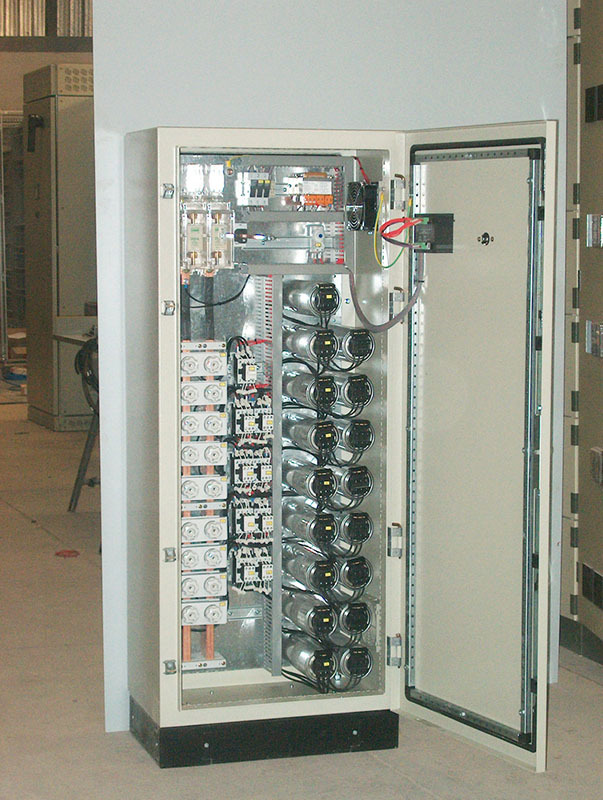 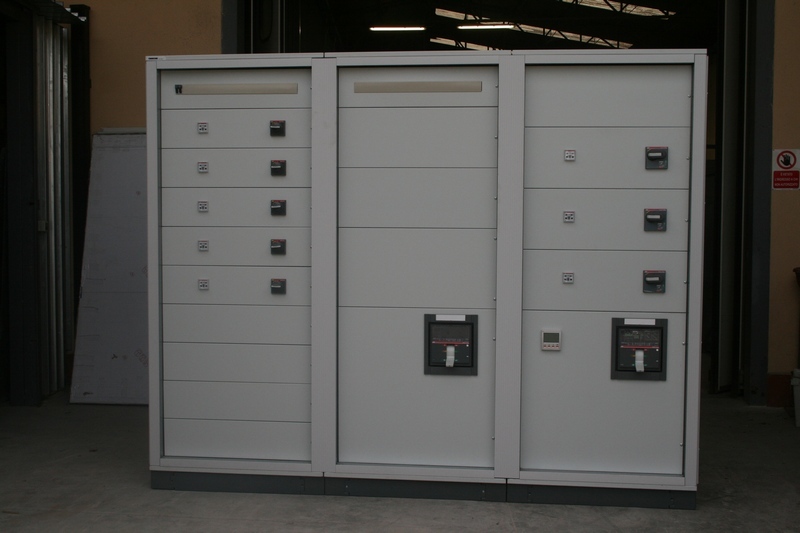 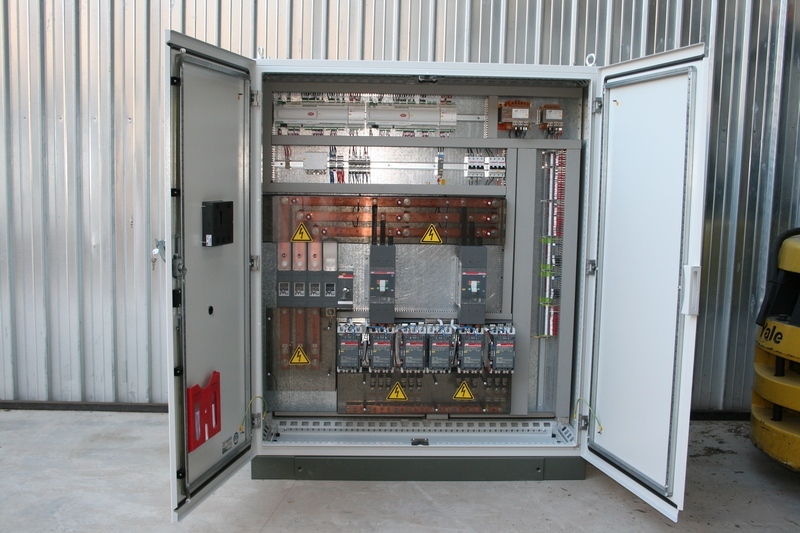 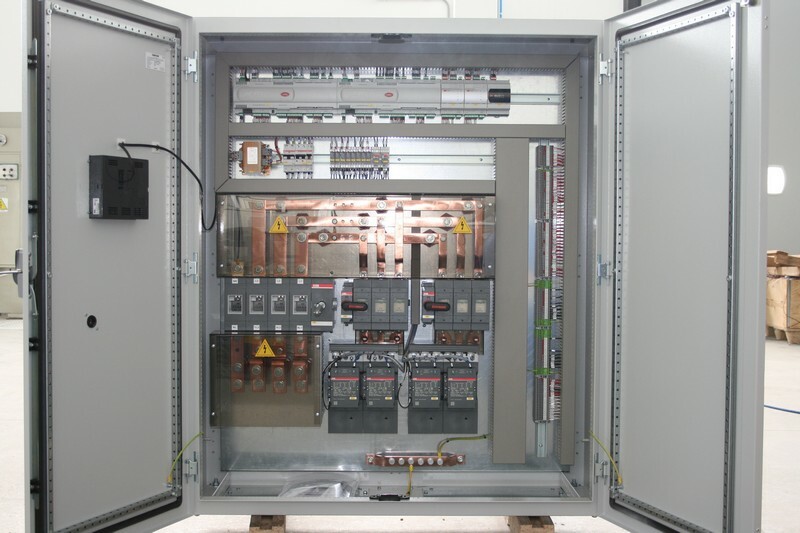 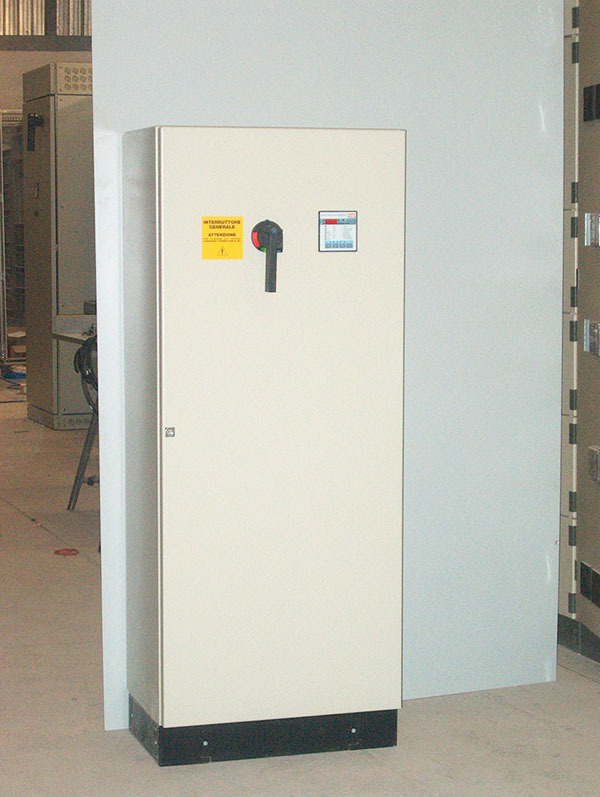 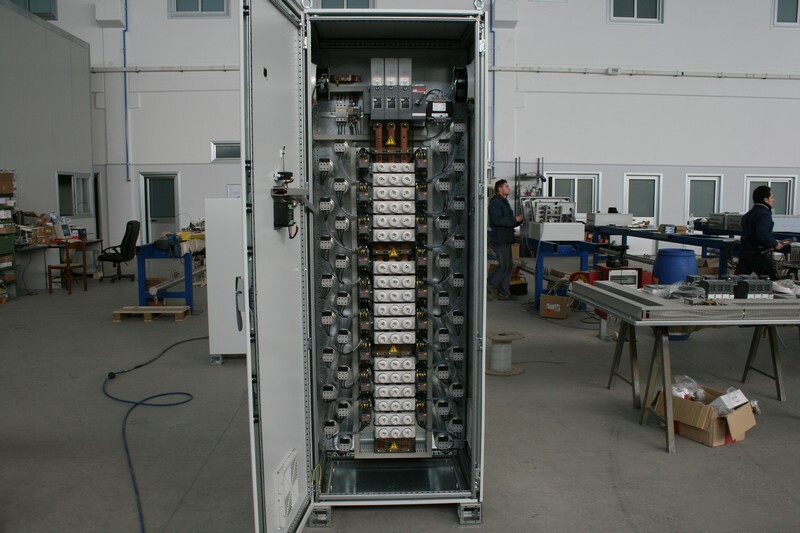 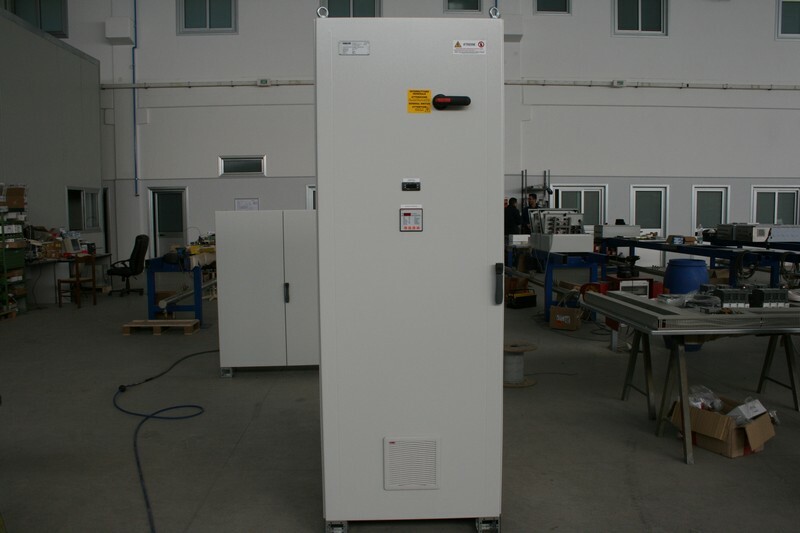 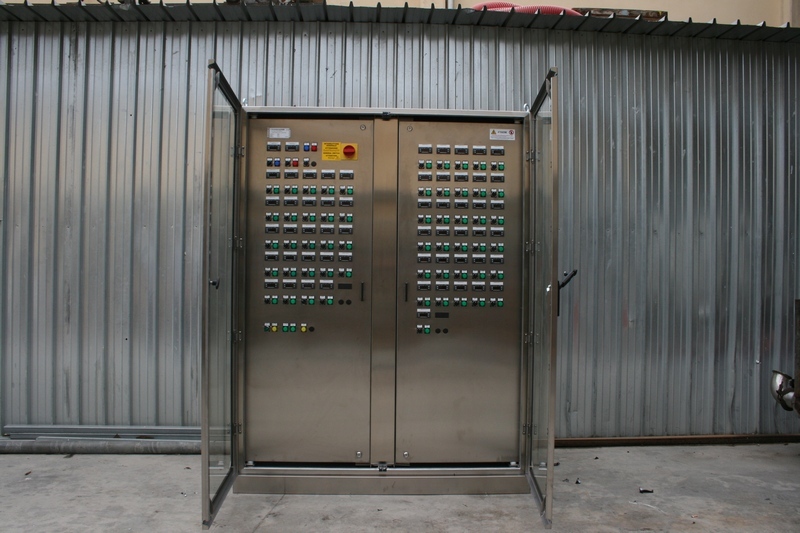 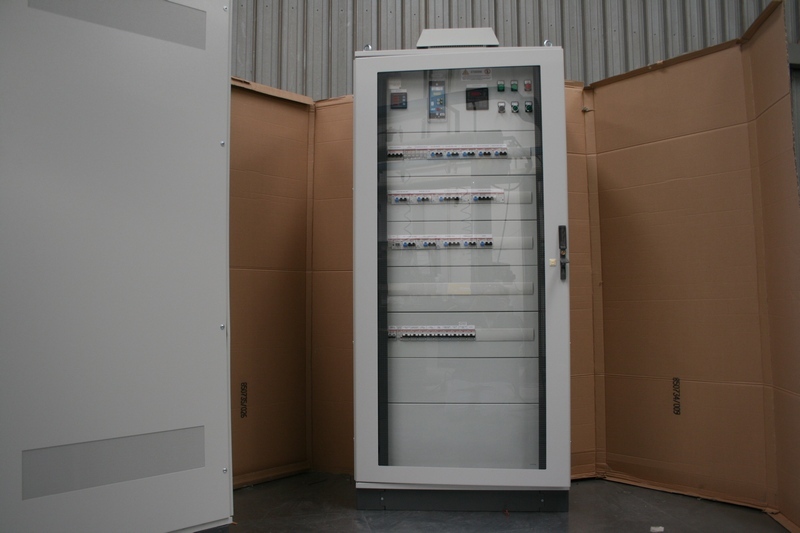 Primary electrical panels for distribution, intended mainly for mass distribution of electricity, once immediately downstream of the MV/LV transformers and mainly made in cabinets with sections divided into compartments with selective access. 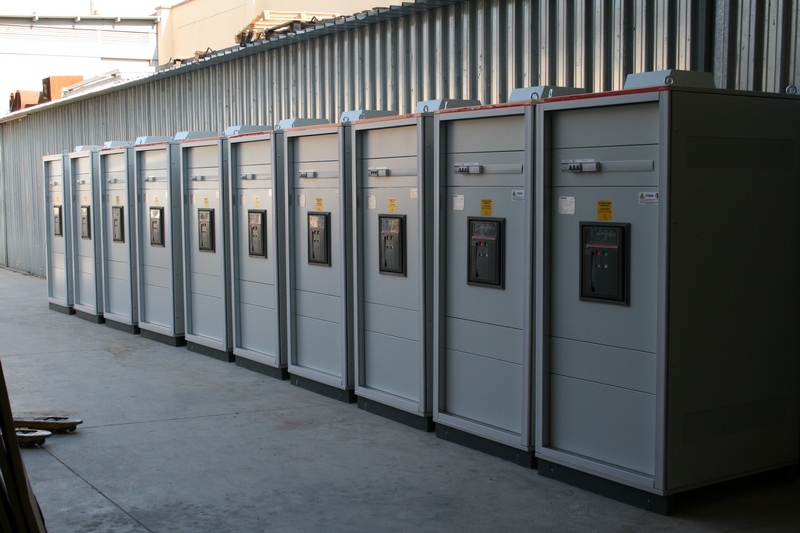 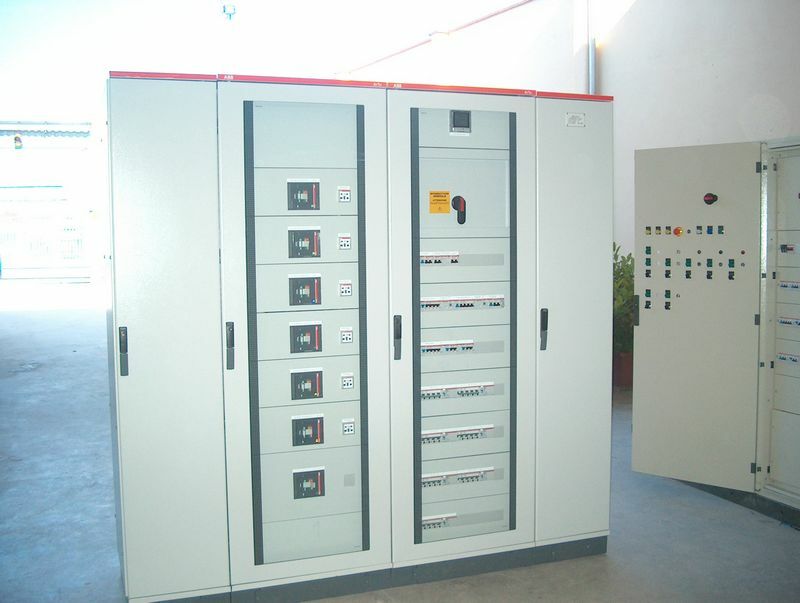 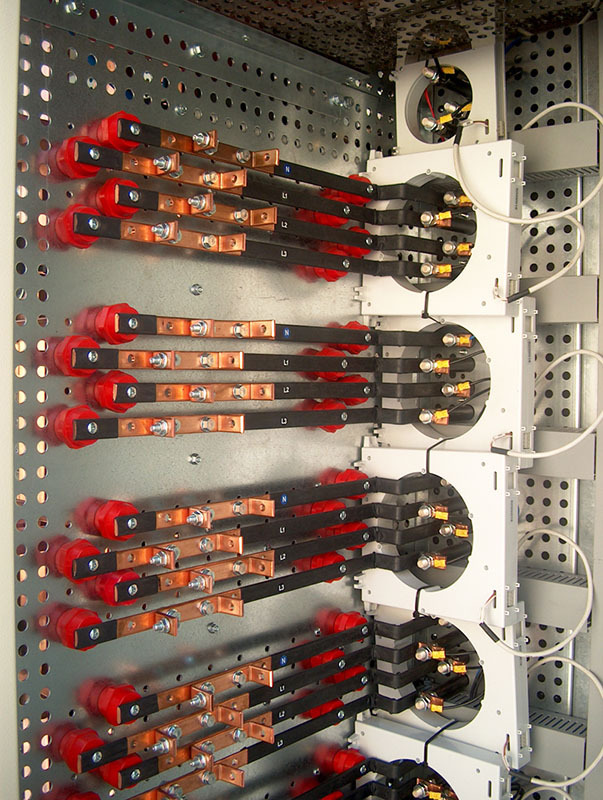 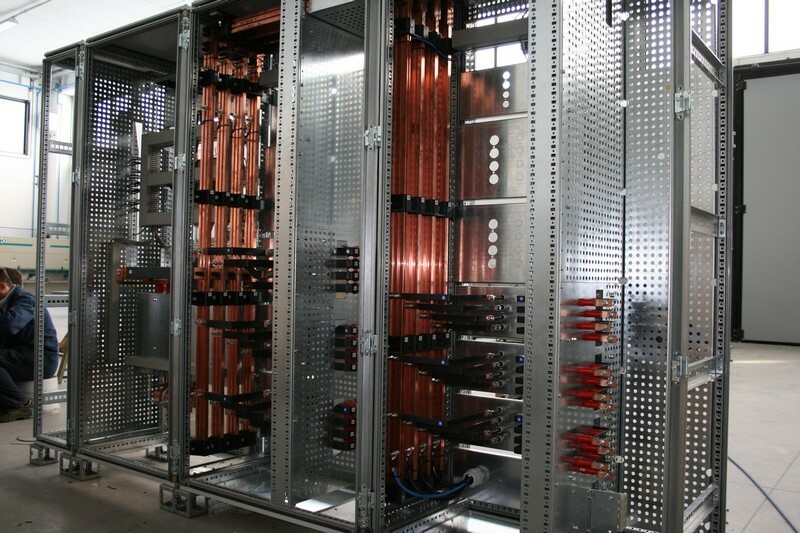 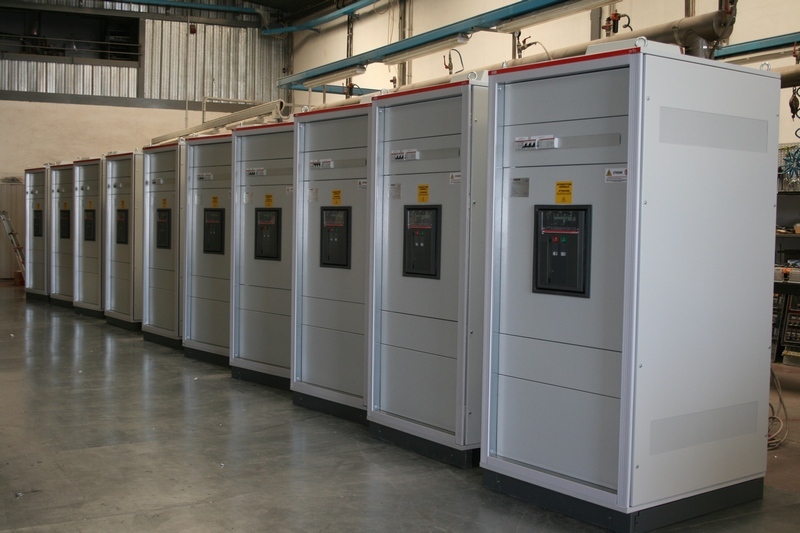 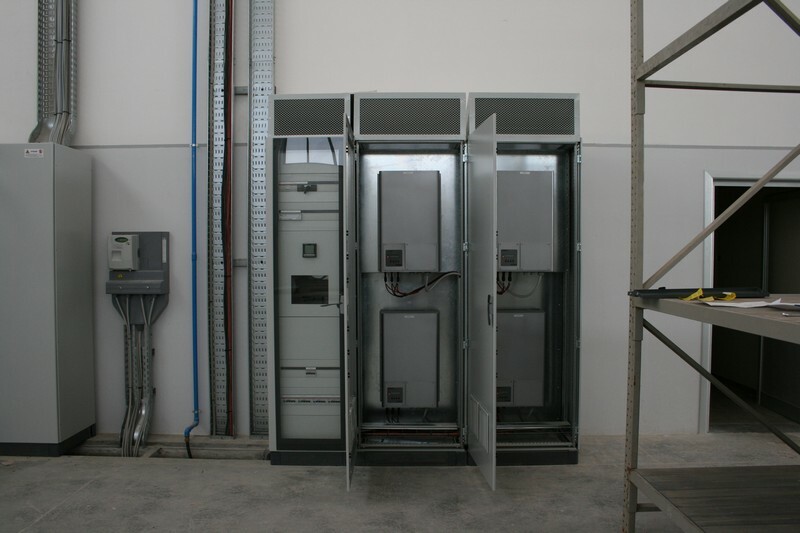 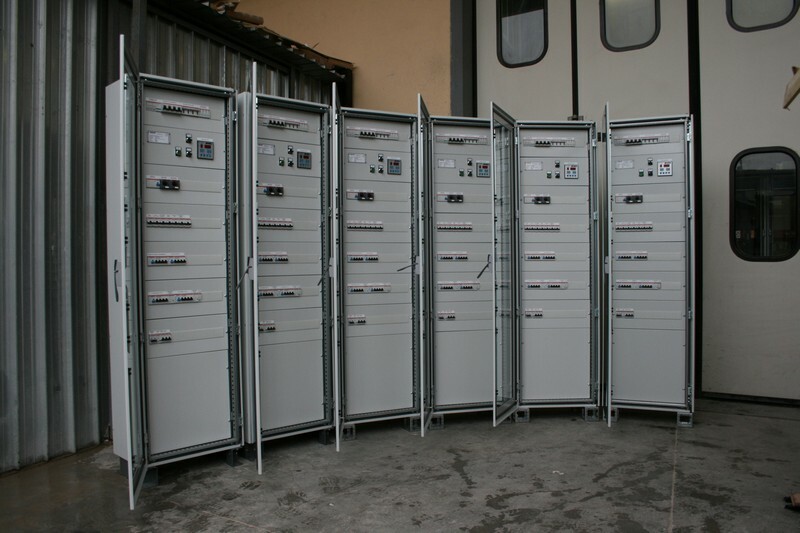 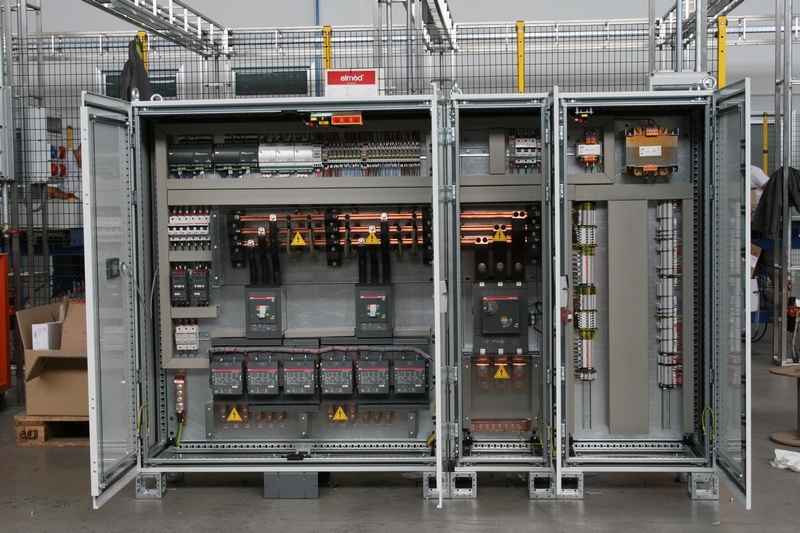 Secondary power-distribution panels intended for small and medium distribution of electricity work to many output units. 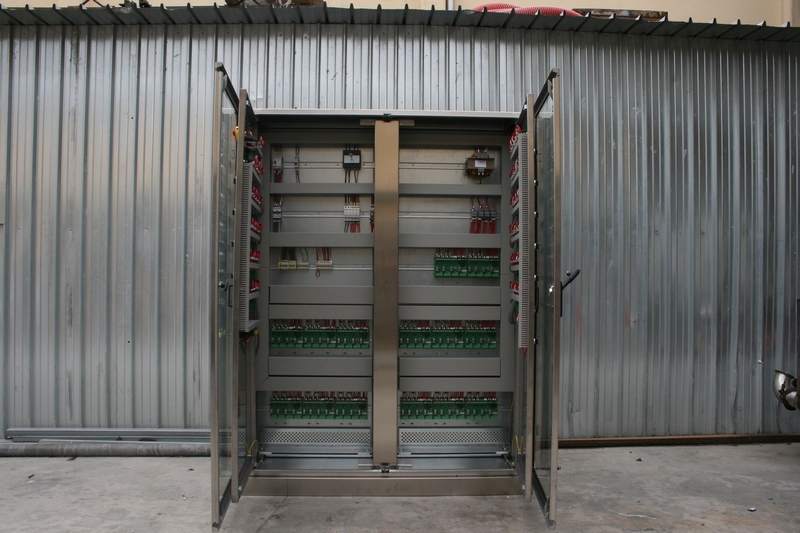 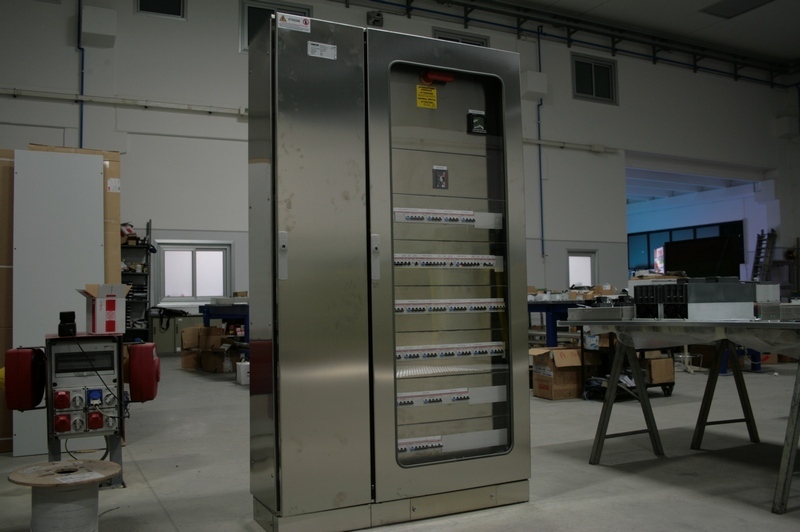 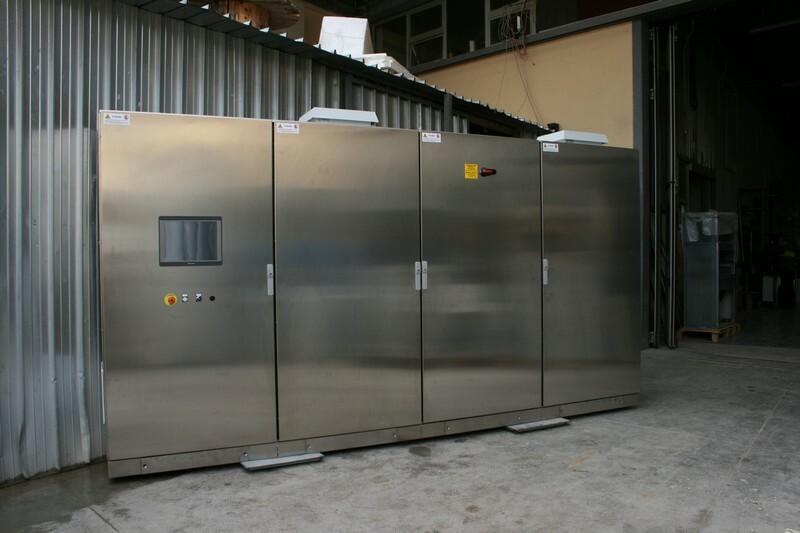 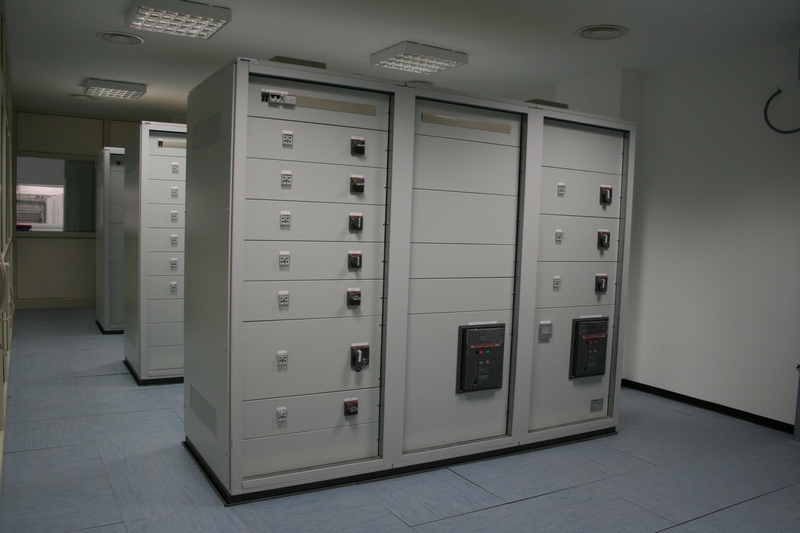 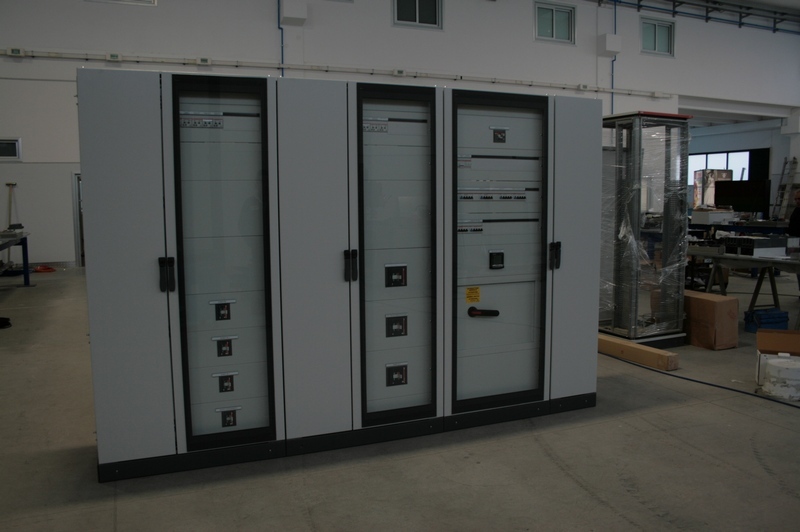 Made in cabinets and medium-sized cassettes, they mainly include circuit breakers and disconnectors, which may be canned or modular, supported by a wide range of other control or signalling devices, etc. 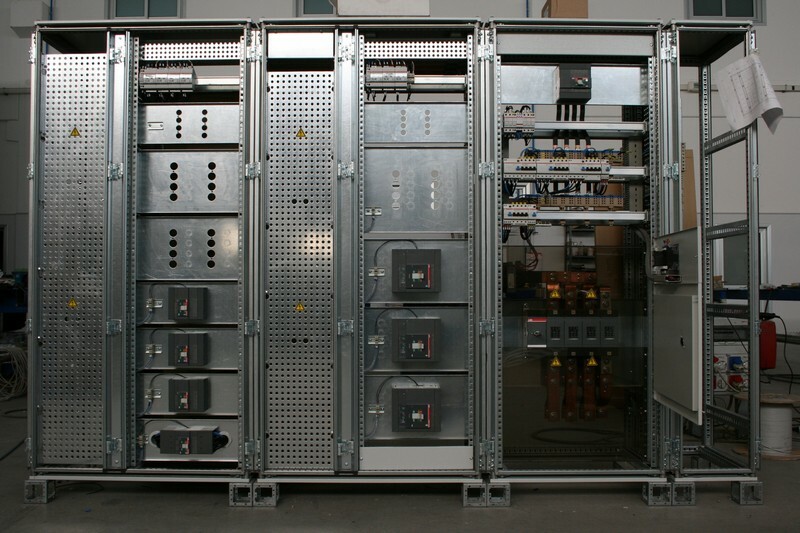 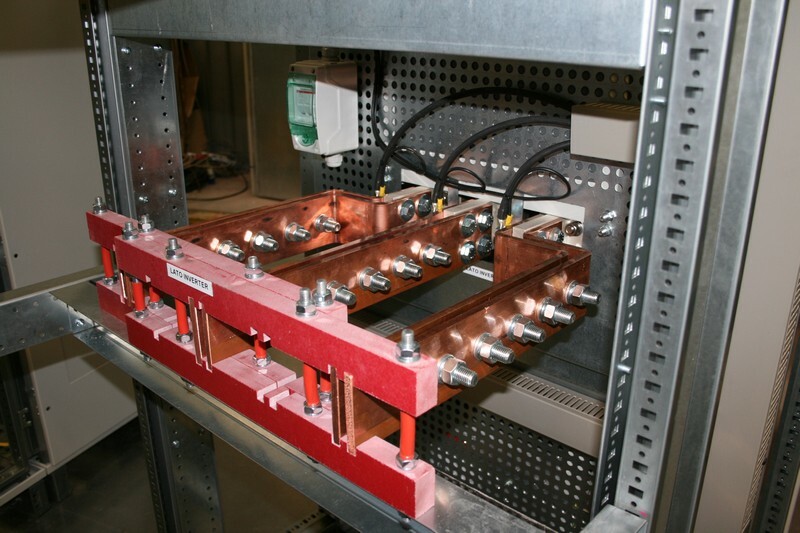 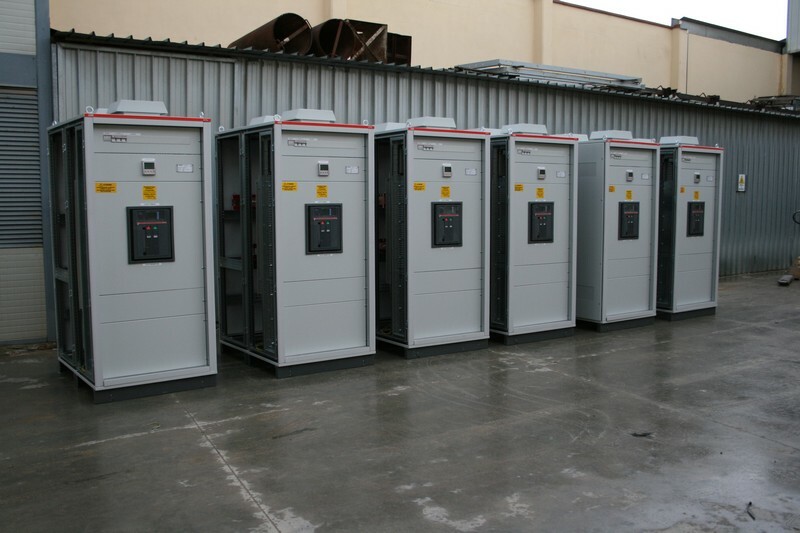 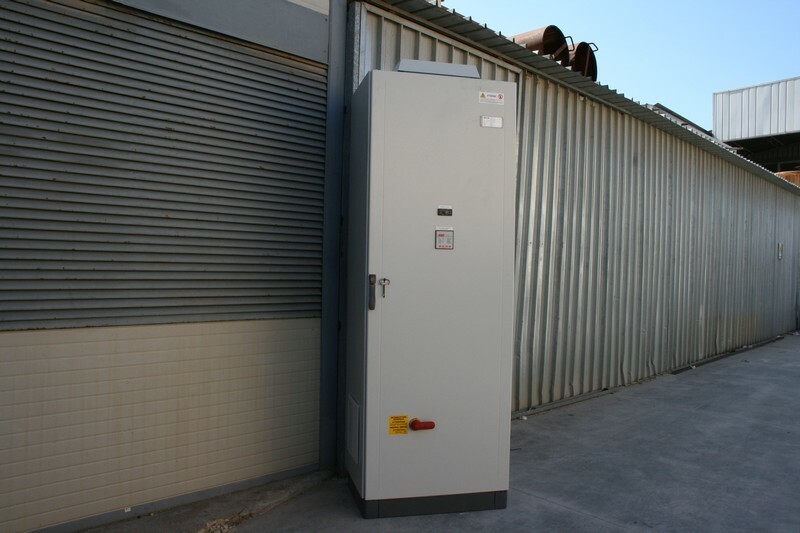 We produce transformer sub-stations able to supply both home users and industrial users via the public grid in MV/LV. 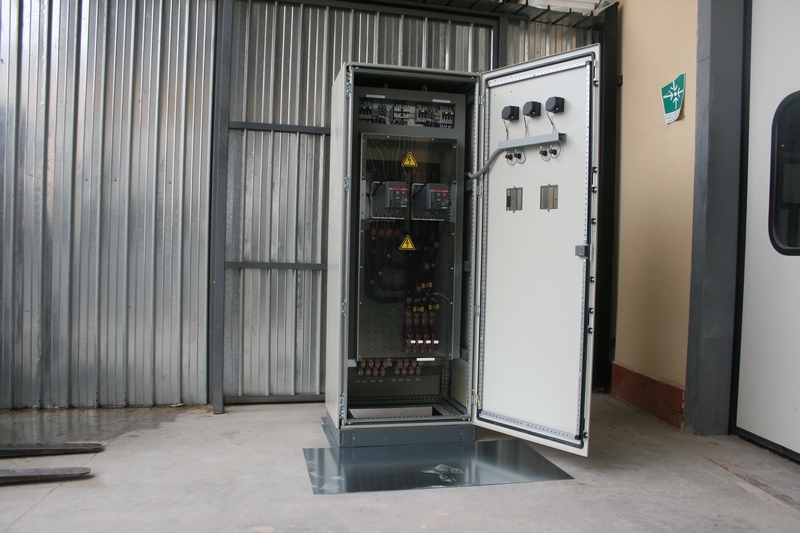 We also deal with the production of public booths for electricity distribution companies in both urban and rural settings. 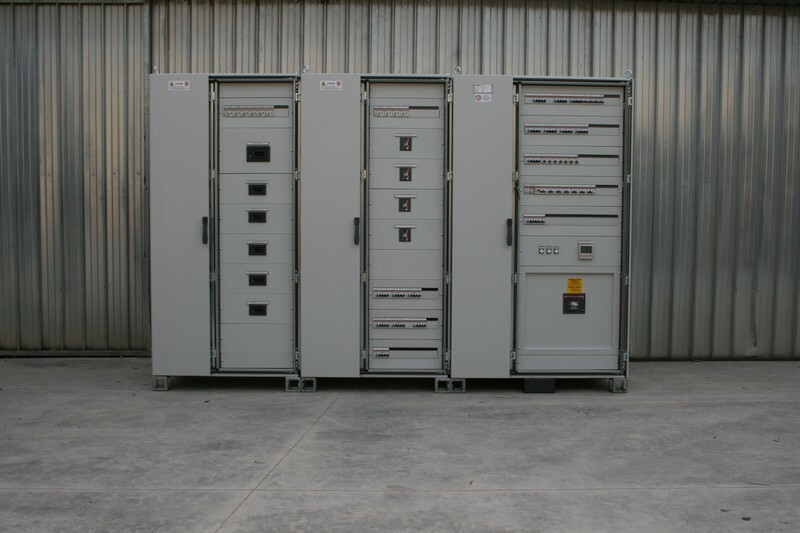 We also realize management and supervision systems for continuous monitoring of all the individual strings of photovoltaic modules of which each plant is made. 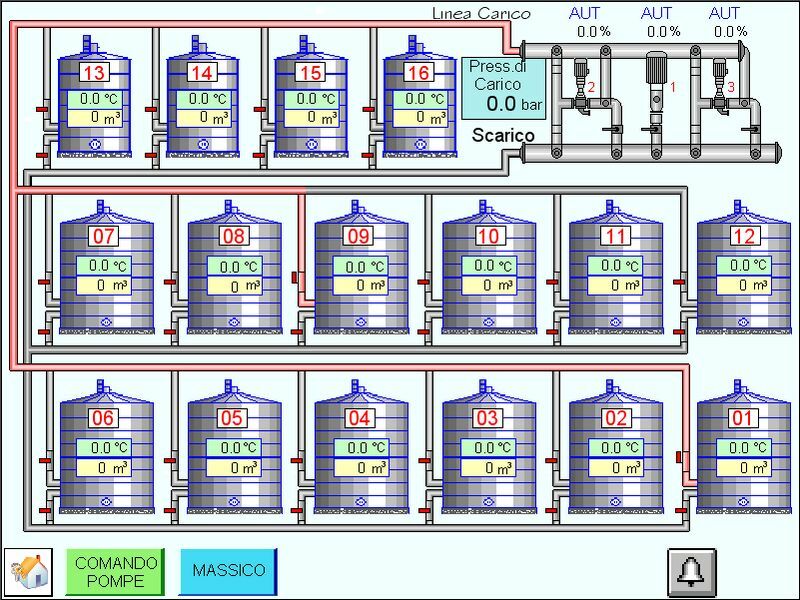 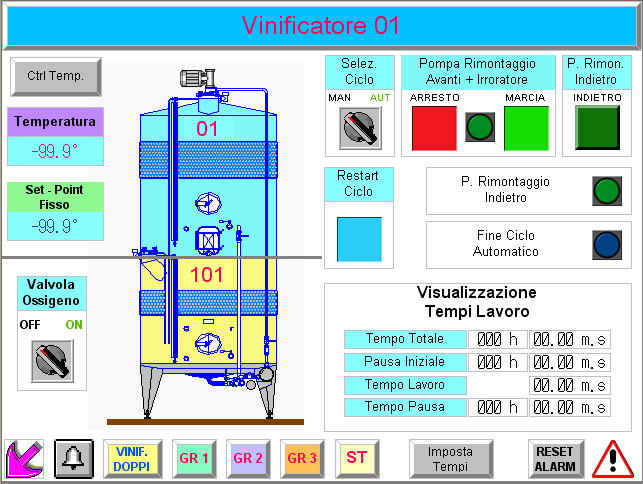 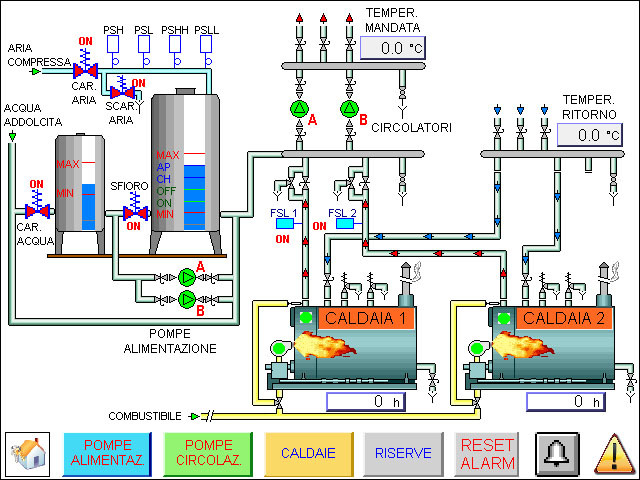 Innovative solutions for machines operating in the high quality olive oil production. 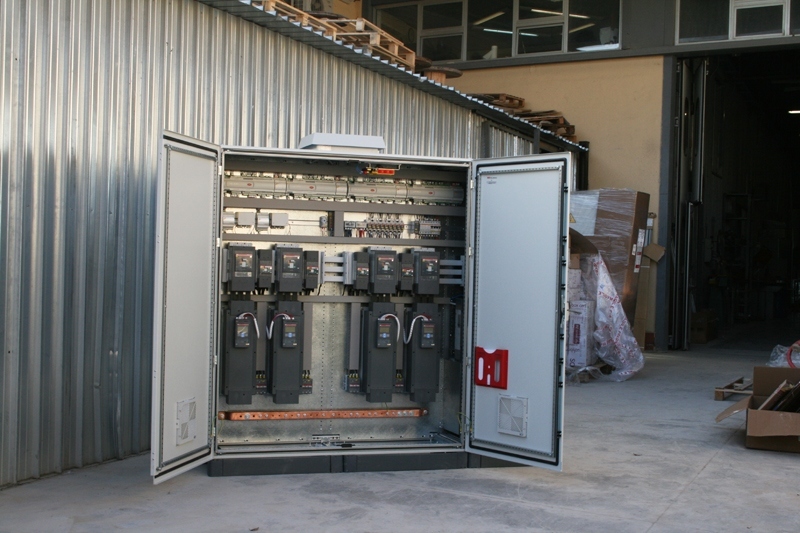 Thanks to a deep know-how linked to a long working experience in the industry, combined with a young innovative spirit, we are able to provide electric panels and systems for oil mill and mills machines ensuring reliability, security and a high quality of products. 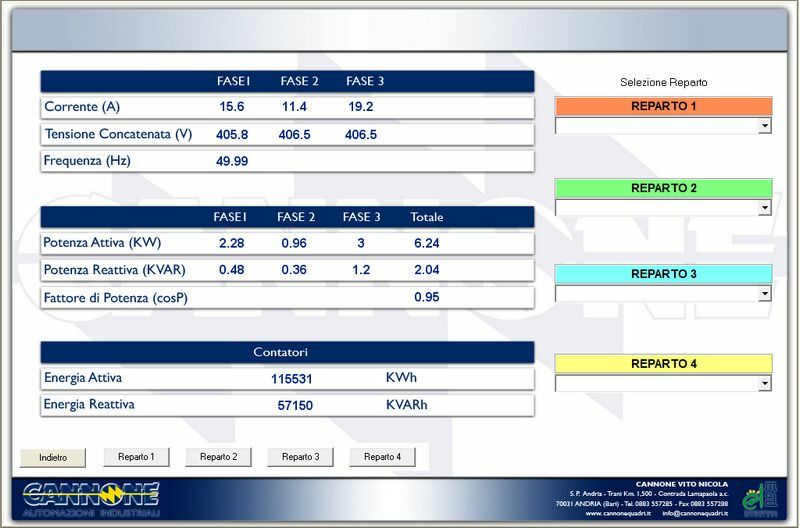 New achievements bring a significant improvement in production performance creating capabilities for the end user even on electrical equipment constructed of electromechanical base to avoid the risk of downtime caused by electronic failures. 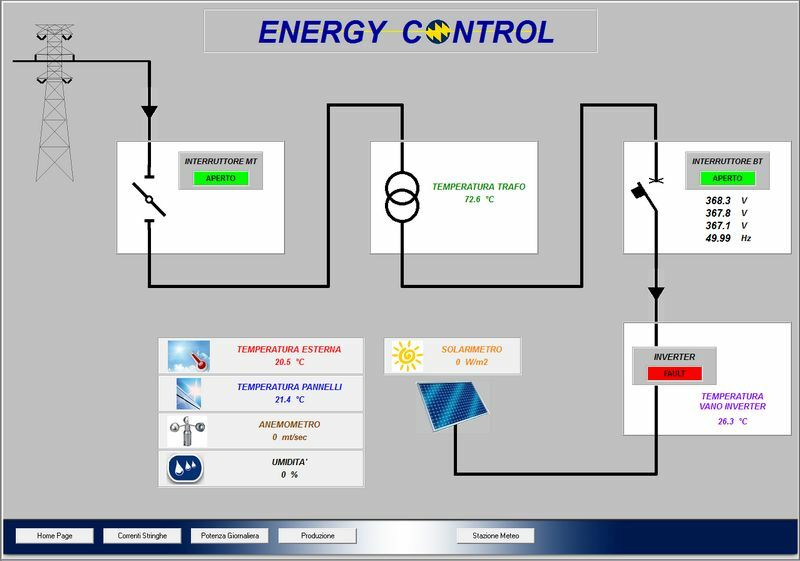 We use PLC from the main brands and guarantee consultancy, technical testing and refinement of the software at the customer’s workplace. 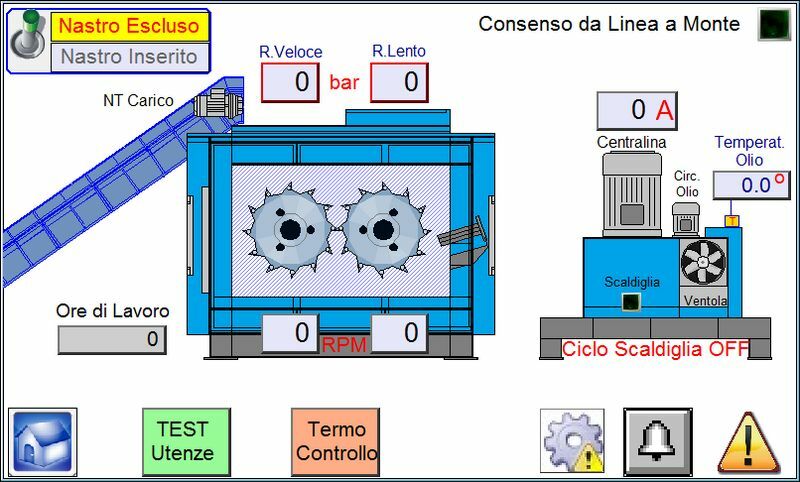 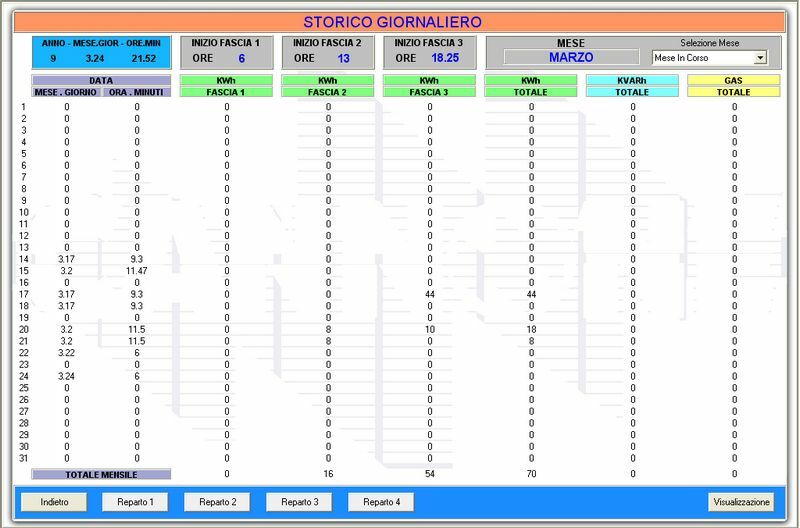 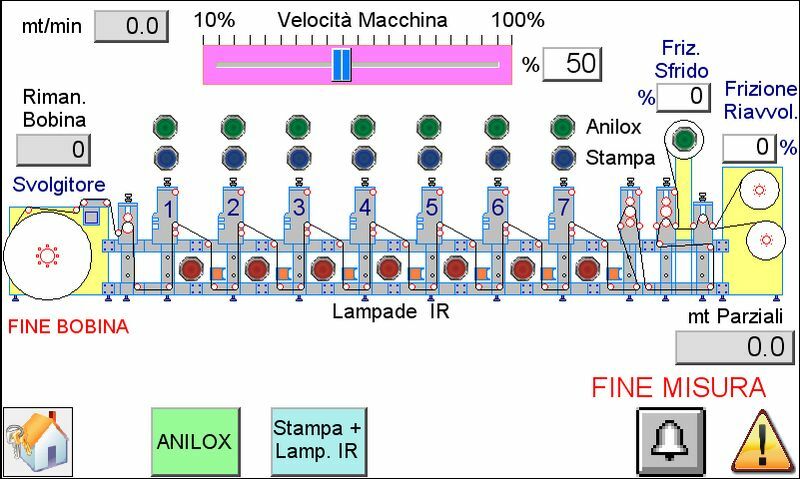 The step of getting machinery up and working both in Italy and abroad is always completed by issuing detailed documentation in electronic and paper form.